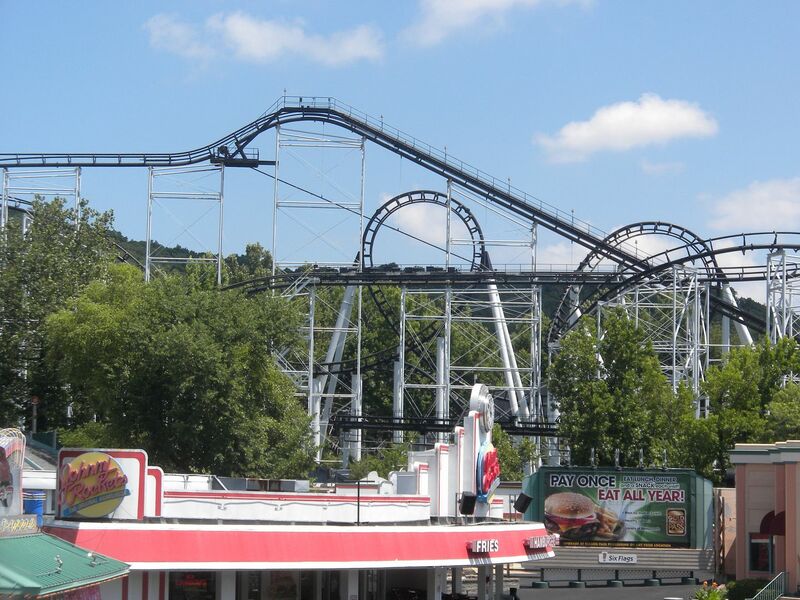 formerly known as Six Flags Over Mid America, in Eureka, MO. This is my fourth trip to SFSL and I consider it one of my favorite SF parks. 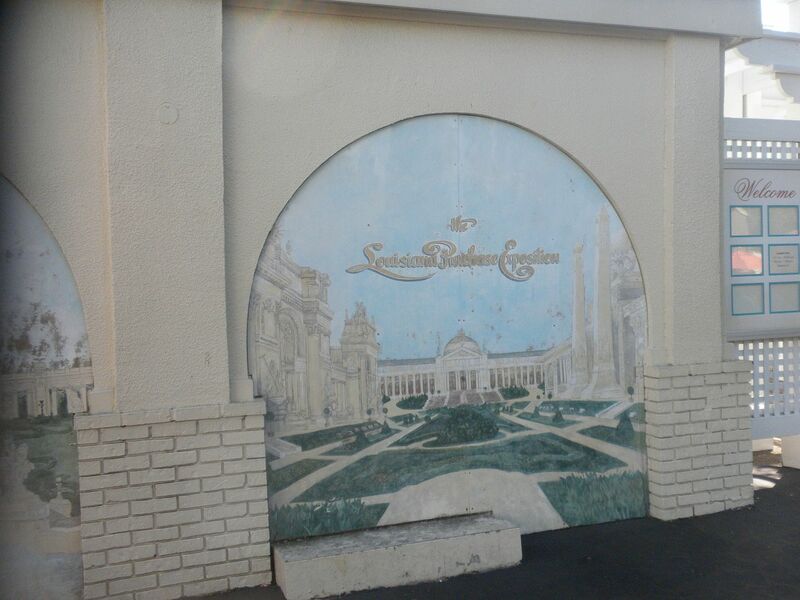 It was the third and final park built by SF and one of only 3 to carry the true SF theme. 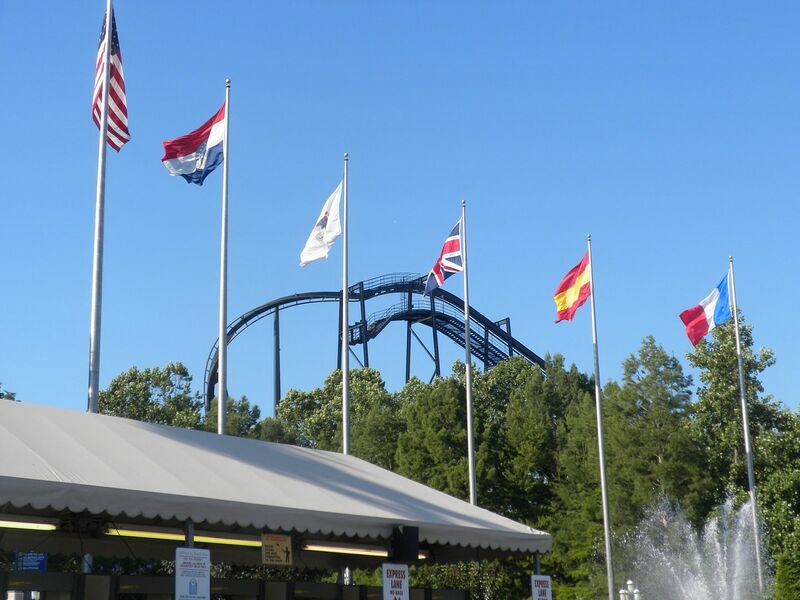 To me this is Six Flags Over Mid America, themed for the six flags that flew over this part of the country: France, Spain, England, U.S.A., Missouri and Illinois. 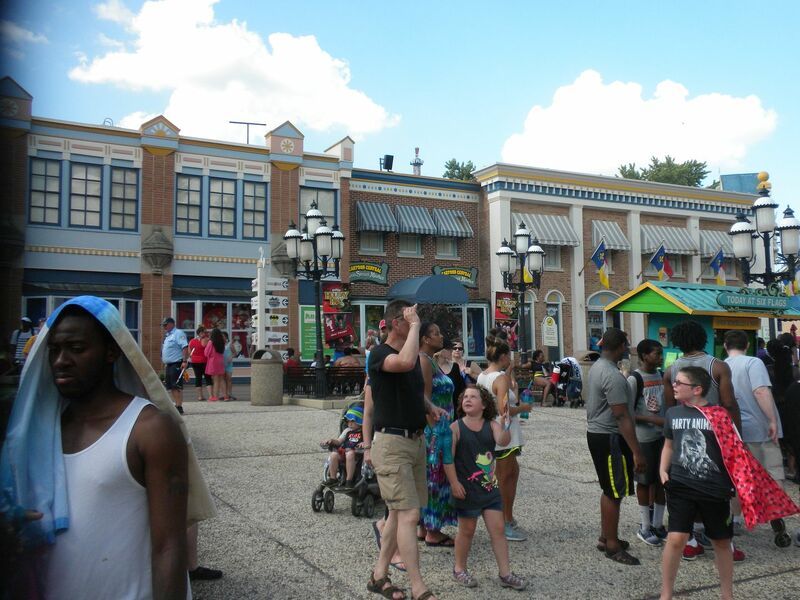 Today, DC Comics Plaza has replaced Spain; France is small but still appropriately themed as Chouteau’s Market; England is Britannia; U.S.A. is Studio Backlot; Missouri is appropriately themed as 1904 World’s Fair and Gateway to the West; and Illinois remains, having given up some space to Bugs Bunny National Park. Hurricane Harbor waterpark is included with admission. 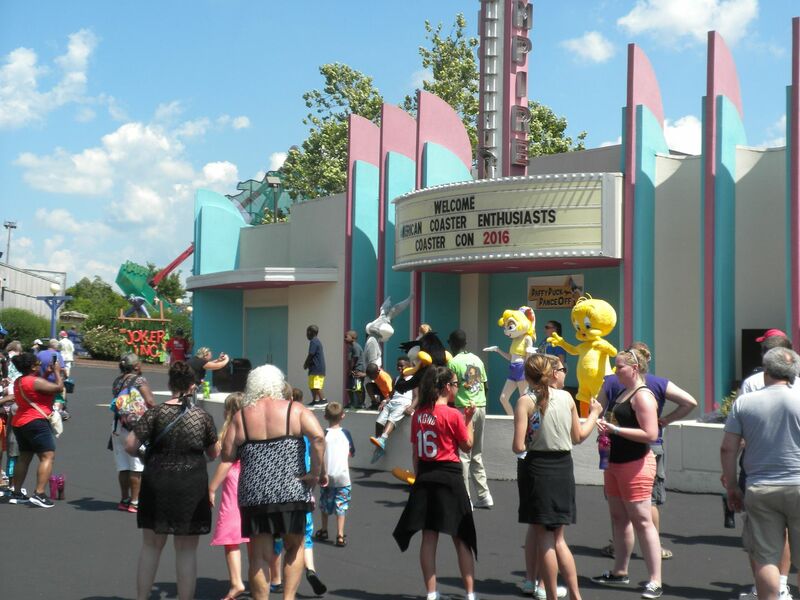 While most theme parks experience some themed section boundary shifts, these have been unusually fluid. 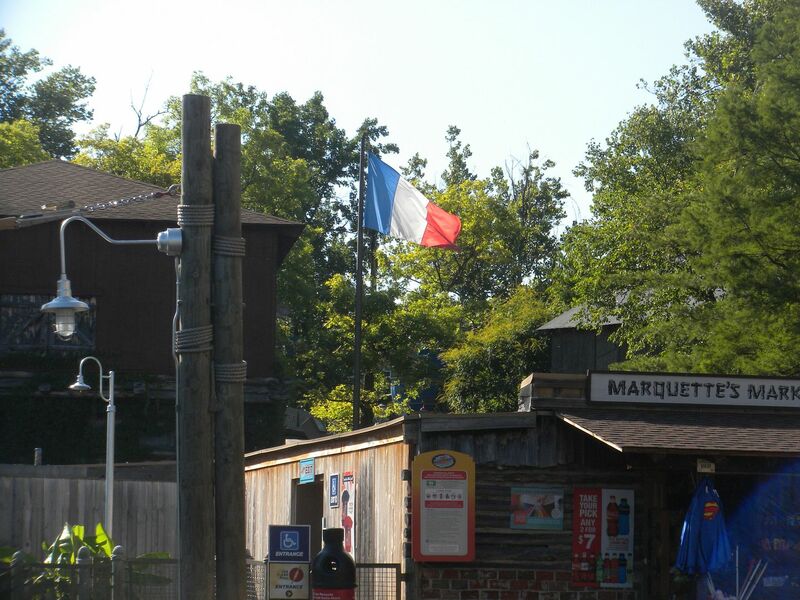 While the current sections representing Missouri, Spain and U.S.A. are mostly in keeping with their original usage, the section now known as Gateway to the West was split between England and France, with the present France section originally extending to include the Mine Train. Illinois was behind this section and did not cross the railroad tracks. 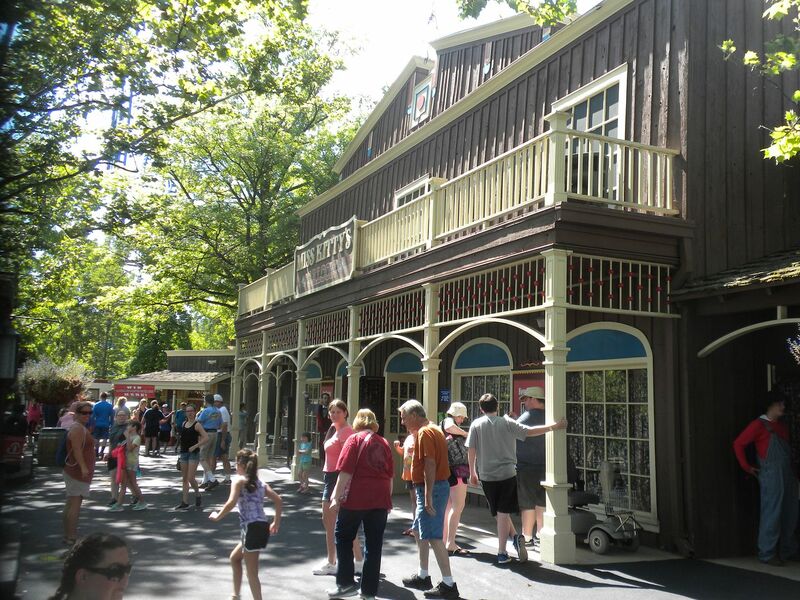 Later, Britannia was formed from a portion of Illinois and unused property in the back corner of the park. 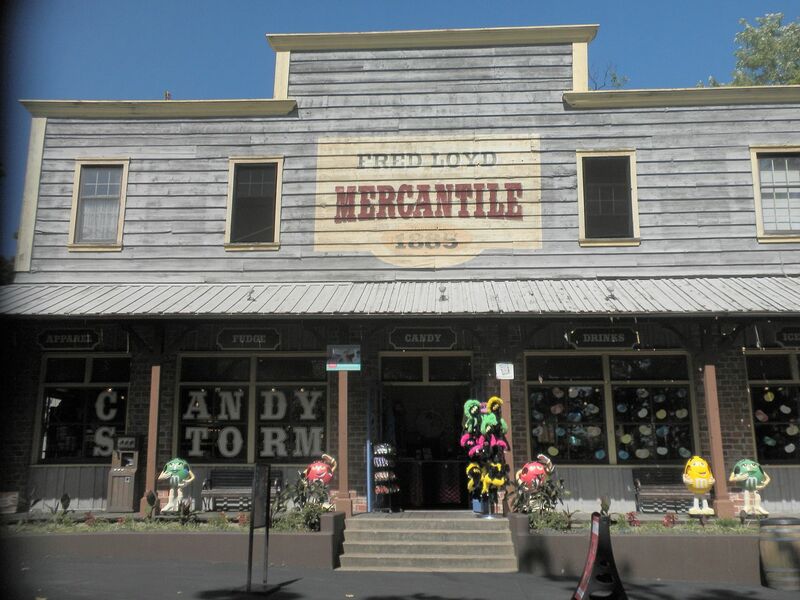 At this time Gateway to the West was formed from the old England section and the back portion of France, with the smaller France section renamed Chouteau’s Market. 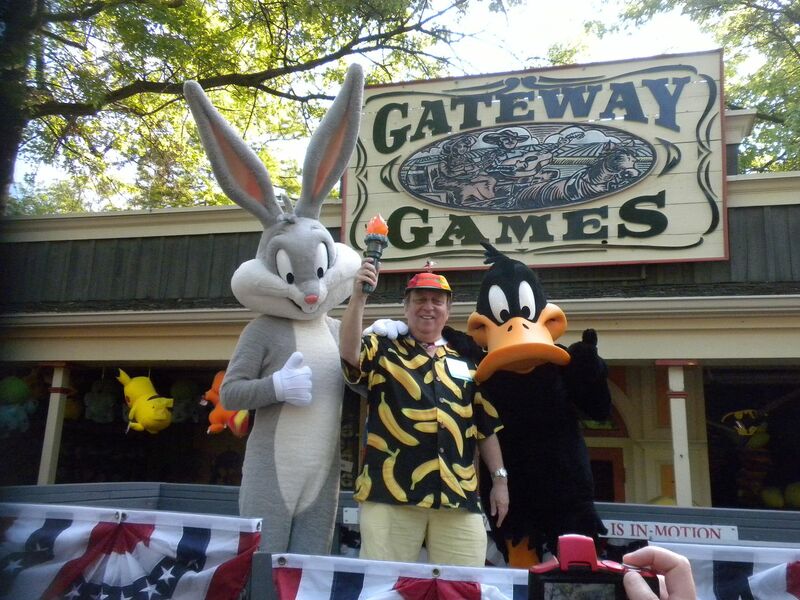 While Illinois had expanded across the railroad tracks, the original portion was later used for Bugs Bunny National Park. 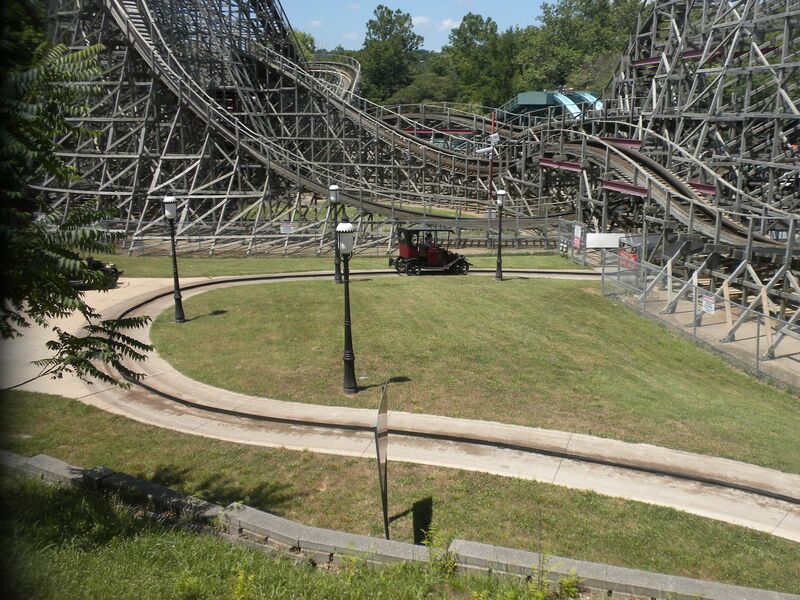 Interestingly the park is laid out in more of a wheel and spoke pattern, rather than the loop layout of the other 2 original parks, with pathways radiating to the various sections from 1904 World’s Fair. 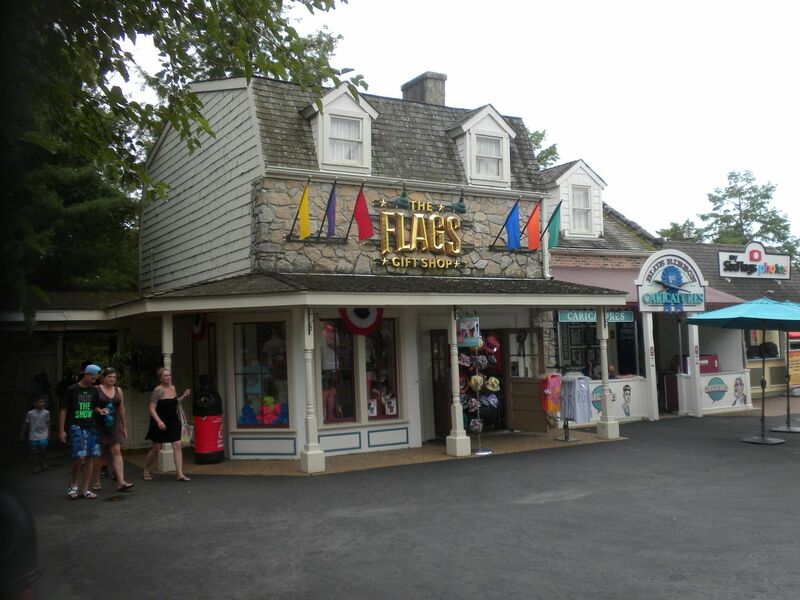 I am impressed that they fly the appropriate six flags at the entrance and by the road, although they use the current flags rather than the period flags as the other two “Over” parks. 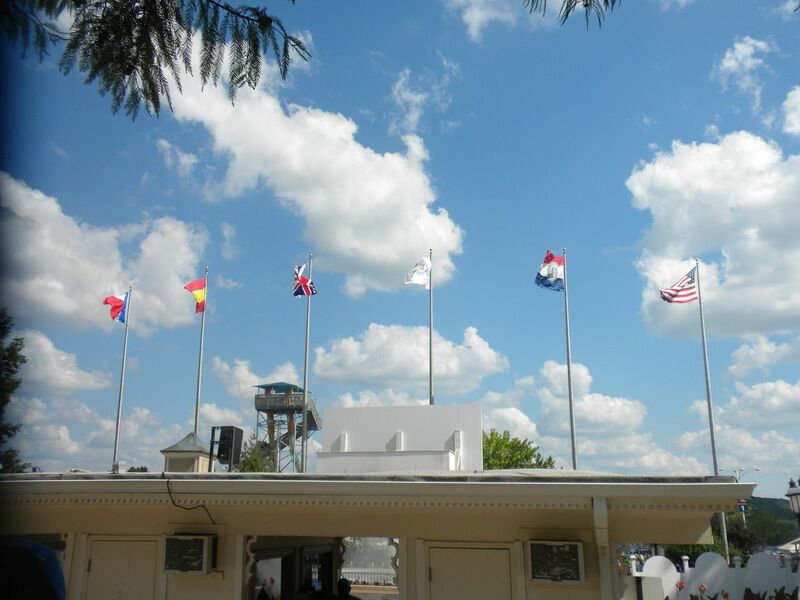 I will review by section with a nod to the history of the flags that have flown over Mid America. Missouri was admitted as a state in 1821. 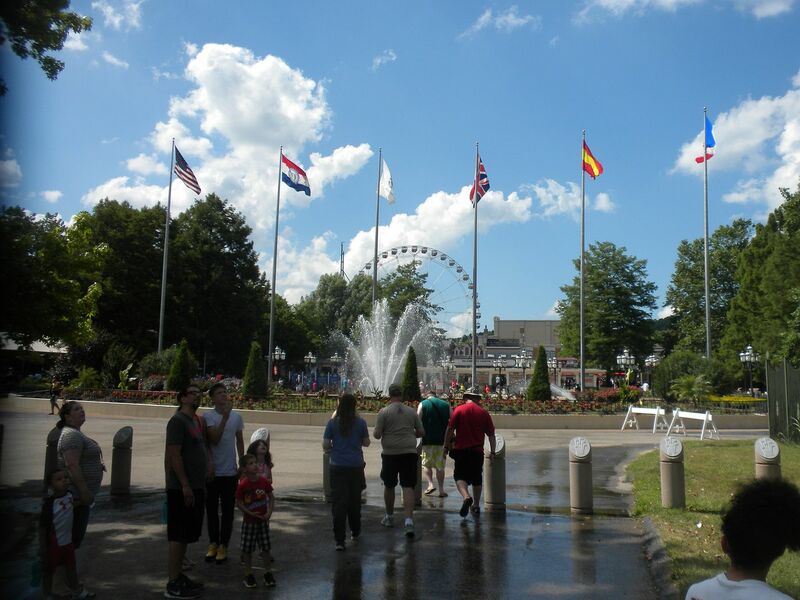 In 1904 the Louisiana Purchase Exposition, also known as the 1904 St. Louis World’s Fair was held to celebrate the centennial of the Louisiana Purchase. 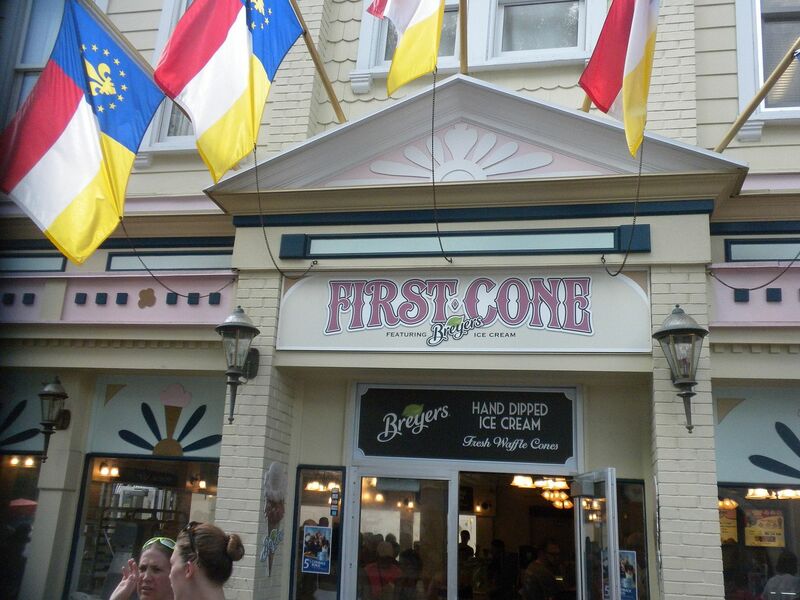 Among its notable achievements was the offering of the first ice cream cone, commemorated in the First Cone Ice Cream Shop, which I got to enjoy while I was here. 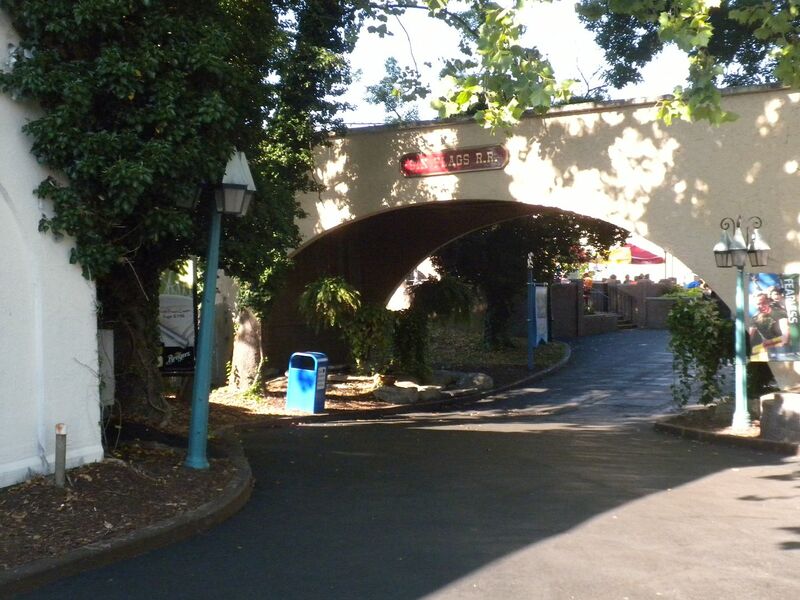 This section serves as the entrance to the park and interestingly, the railroad is designed to encircle it on 3 sides, although its boundaries extend beyond the tracks in some areas. 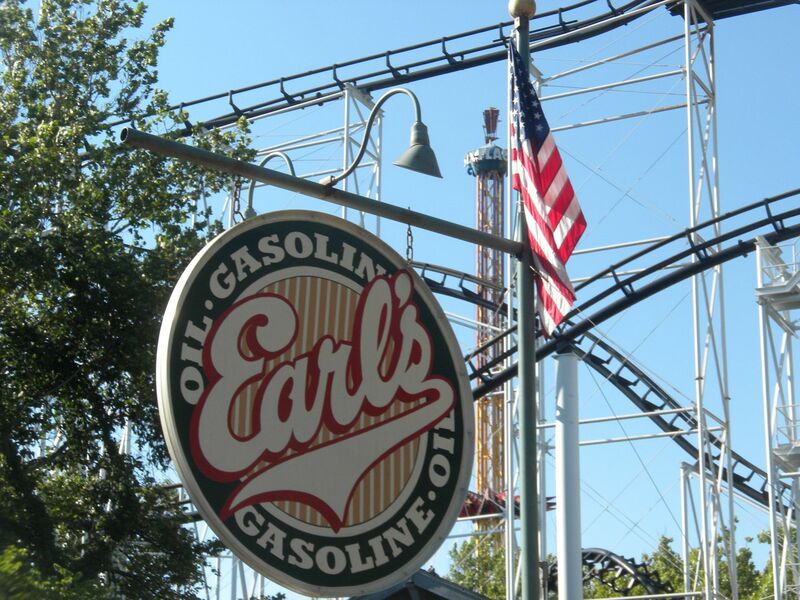 Formerly Evel Knievel, this was my 400th coaster back in 2009, and it is certainly a great coaster. 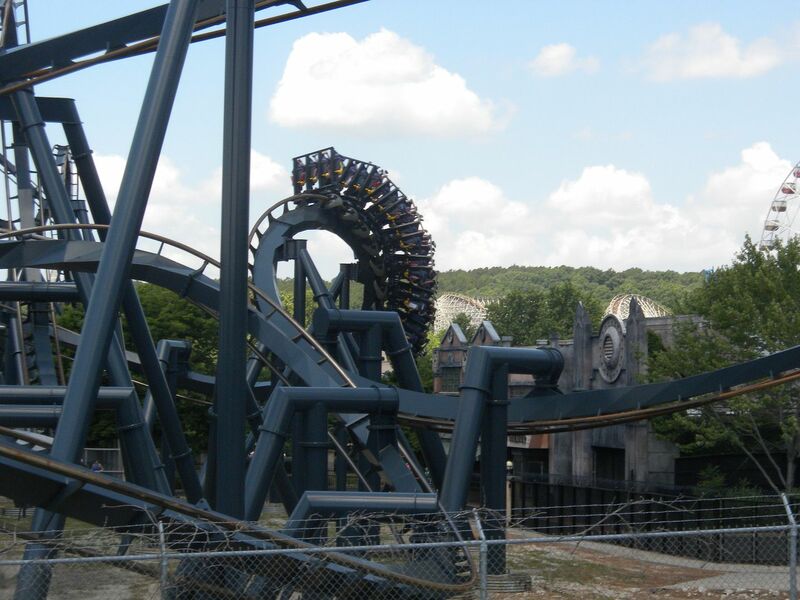 It has lots of exciting twists and turns with excellent airtime. It is much more of a true twister than Prowler, but I rank Prowler higher. and gave a great ride – 10 rides, 9 during ERT. 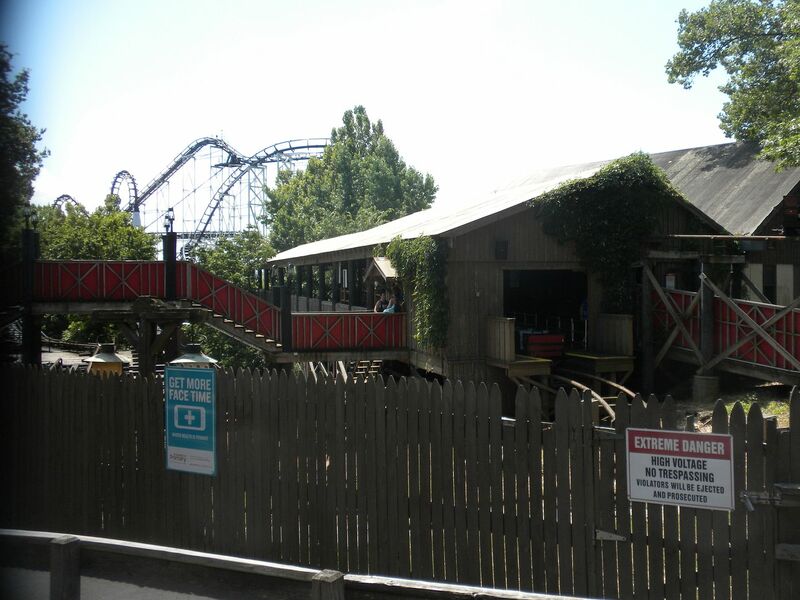 Tommy G. Robertson Railroad: This is still a steam train and gives a great overview of the park. We were given an exclusive ride Monday morning. 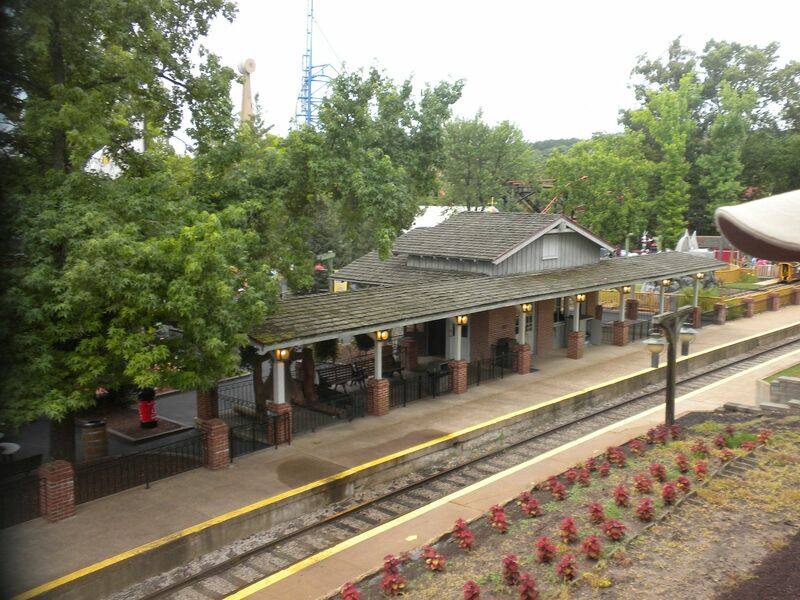 Of note, some of the old Hanabarrels cars, a drunken barrels ride that was original to the park, are used as seats in and around this station – 2 rides, 1 from the St. Louis Station and 1 through it. 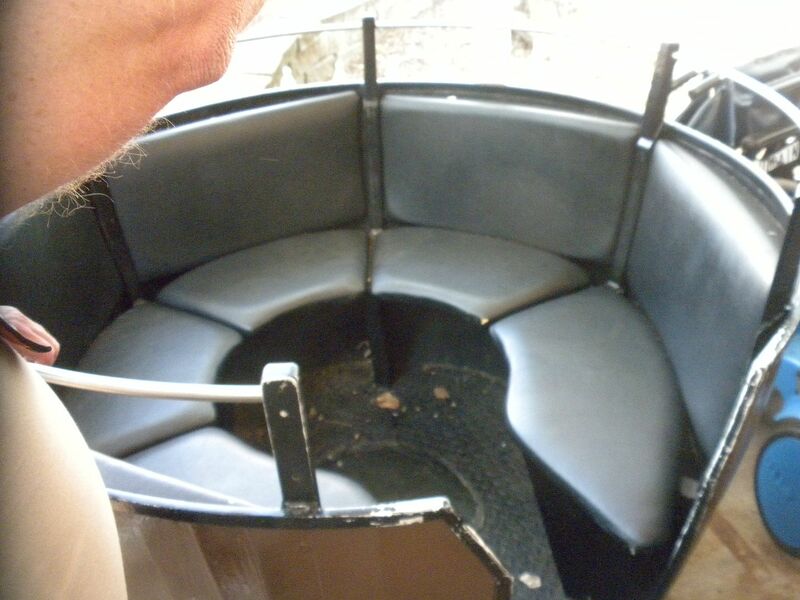 Moon Antique Cars: While this ride now has a very short route, I applaud the park for figuring out a way to keep it. 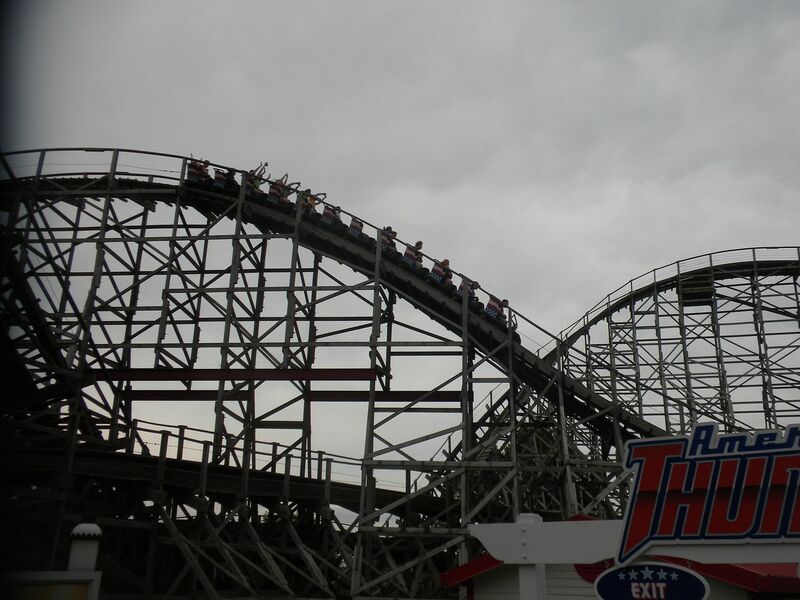 It goes through the coaster, which makes it more interesting – 1 ride during ERT. 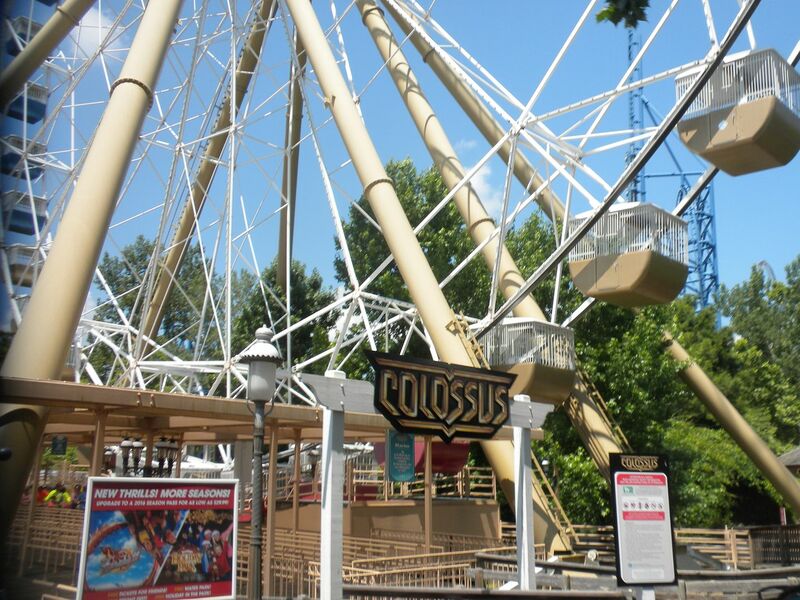 Colossus: From the 1984 World’s Fair in New Orleans, this 180 feet Ferris Wheel gives great views of the park and is an appropriate ride for this 1904 themed section – 1 ride during ERT. The Palace Theater – That’s Entertainment! : Featuring songs from the classic hit parade to the contemporary musicals of today, this musical production was good and a great way to escape the heat – 1 show. Also on The Palace Theater Porch they present a closing show, Party on the Plaza, which I did not see. 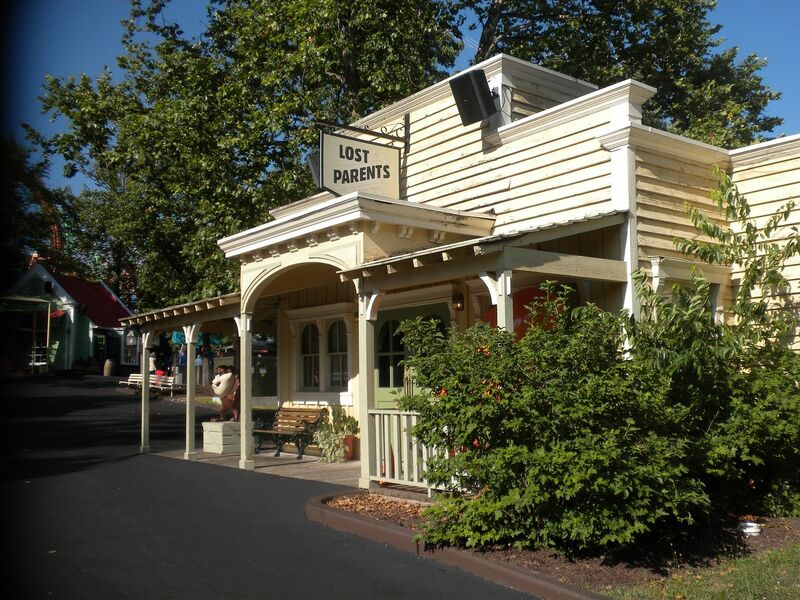 The park provided Sunday evening dinner and Tuesday breakfast and lunch in the World’s Fair Grove. The food throughout our visit was very good and much of it was themed to St. Louis. As a part of the Louisiana Territory, the French owned much of what would become Mid America from 1699 until 1762 when the area west of the Mississippi was ceded to Spain in 1762 and the area east of the Mississippi was won by Britain in the Seven Years War in 1763. 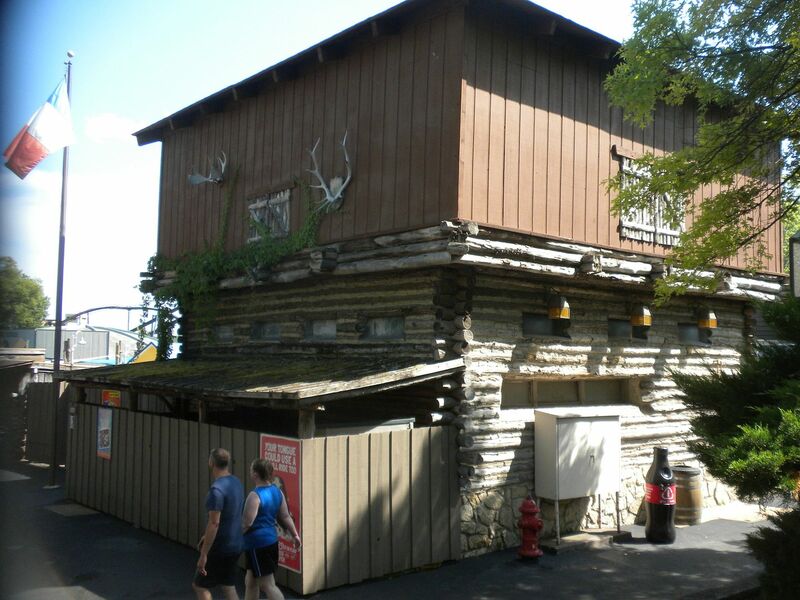 In an attempt to reestablish the French empire in North America, Napoleon regained it from Spain in 1803, but soon found it expedient to sell it to the United States as the Louisiana Purchase in 1803.
and with its log cabin feel, has some of the best maintained theming in the park. 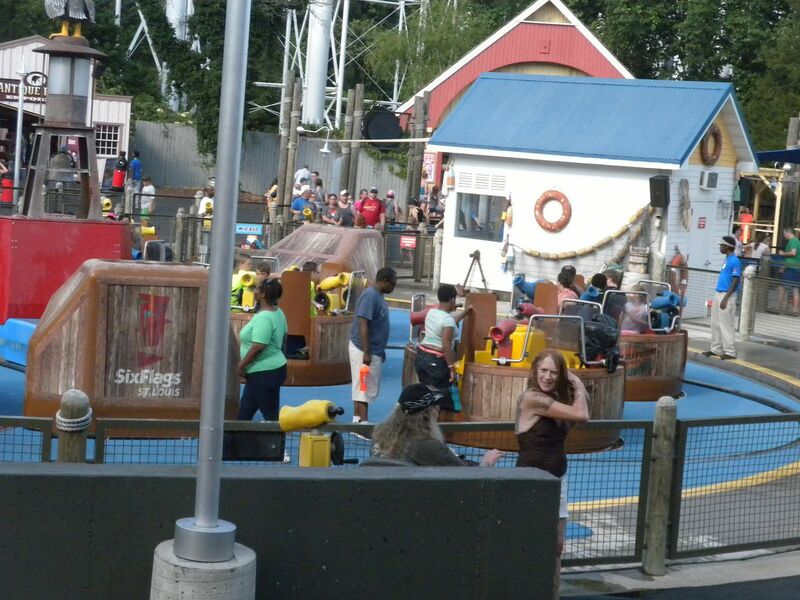 Tsunami Soaker: This spinning water ride allows you to shoot water guns at those on the ride and in the midway as well. 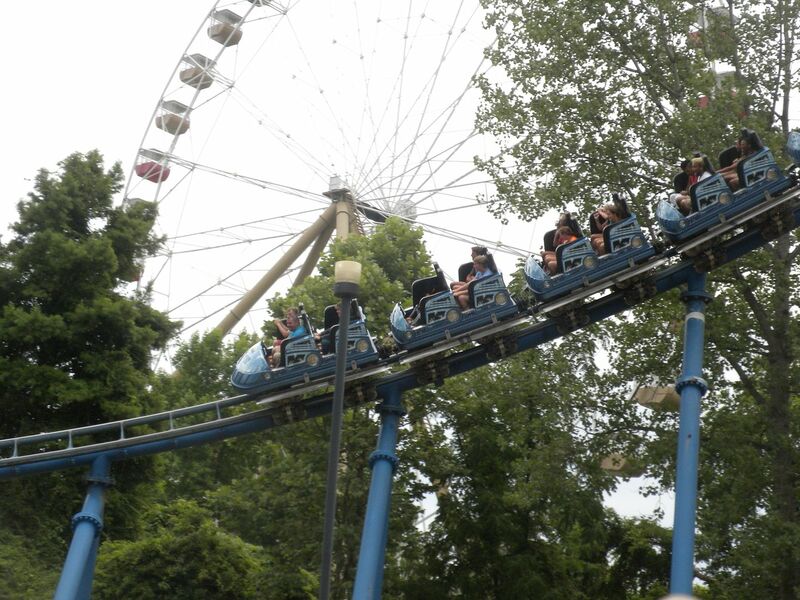 While it moves much too slow to be thrilling, the water element is fun and you get quite wet – 1 ride. 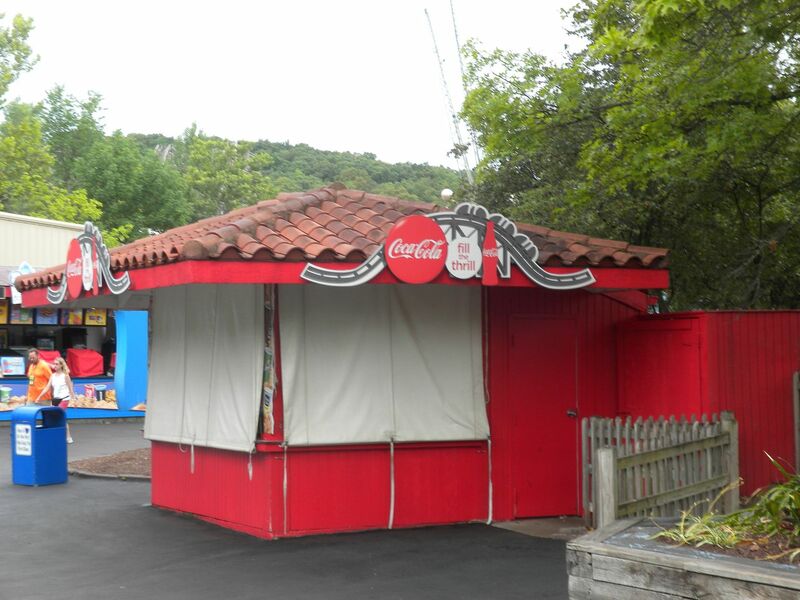 of its original Spanish theming. and the top hat is fun, and then you get to do it again forwards. 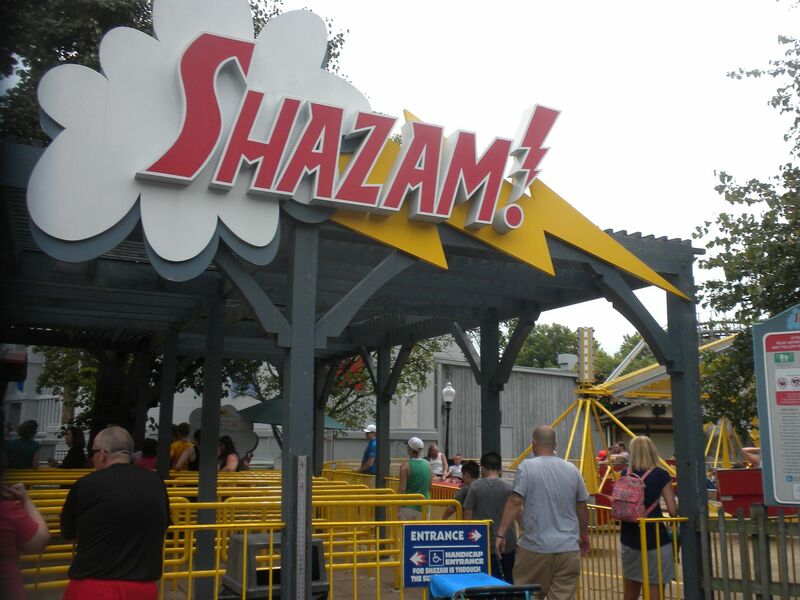 I think I like this backward launch better than the original – 3 rides, 1 during ERT. 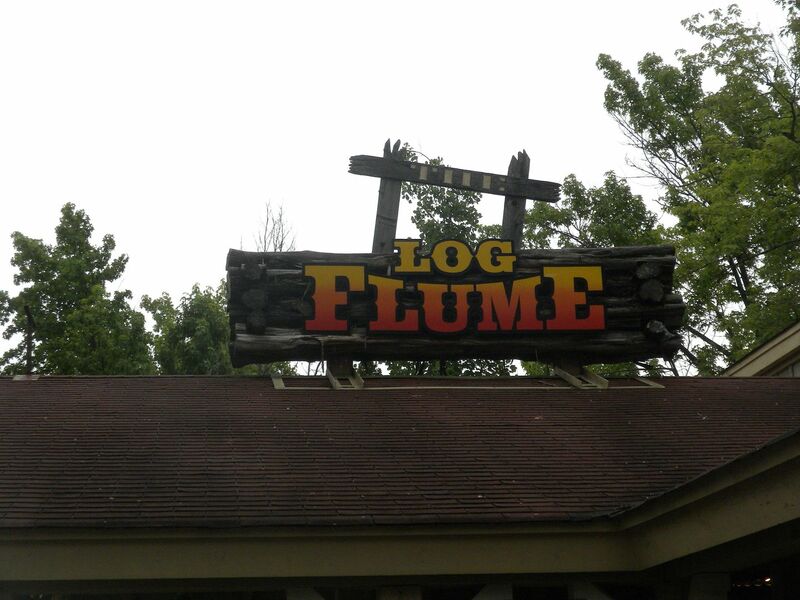 This is a good log flume and they have kept both of their original flumes. It is in a nice setting in the trees. 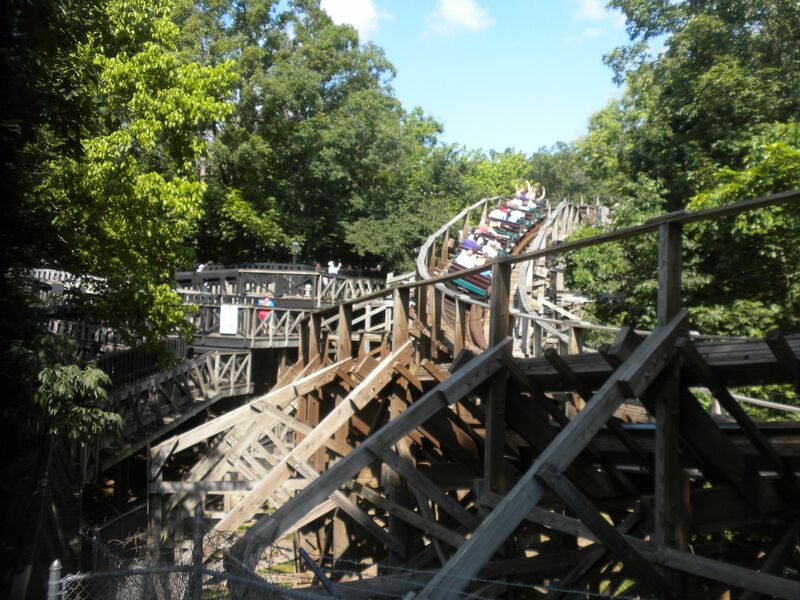 I had wanted to ride both sides and both were running Sunday afternoon, but by the time I got to it the other days, they were only running one side – 2 rides, 1 during ERT. JUSTICE LEAGUE: BATTLE FOR METROPOLIS: This replaced Scooby Doo! 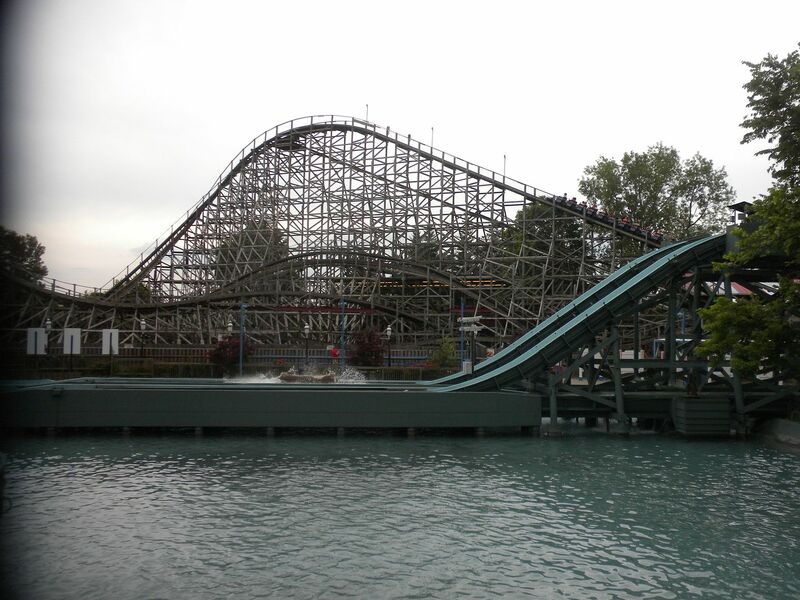 Ghostblasters – The Mystery of the Scary Swamp, which was my favorite of the Scooby Doo interactive dark rides as the water, the layout and better working guns combined to set this ride apart from others. 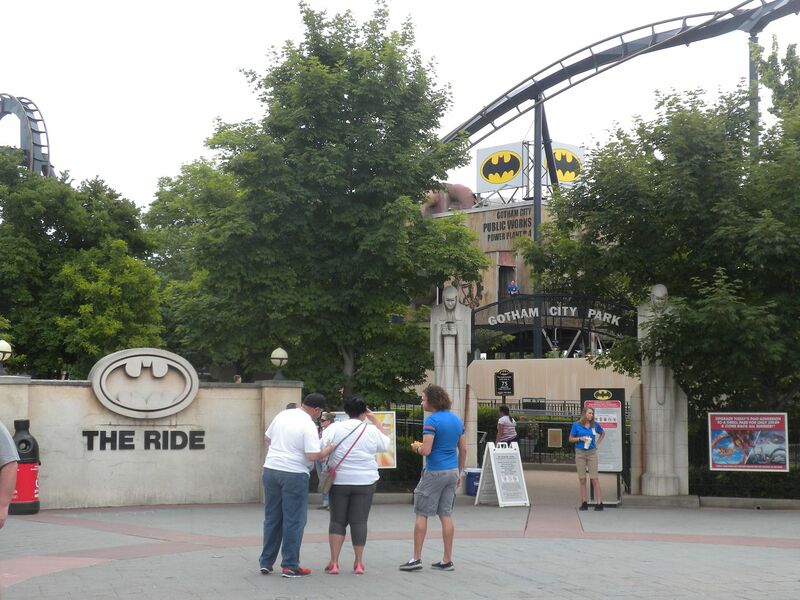 This is a worthy replacement, however, as it is an extremely high quality ride. 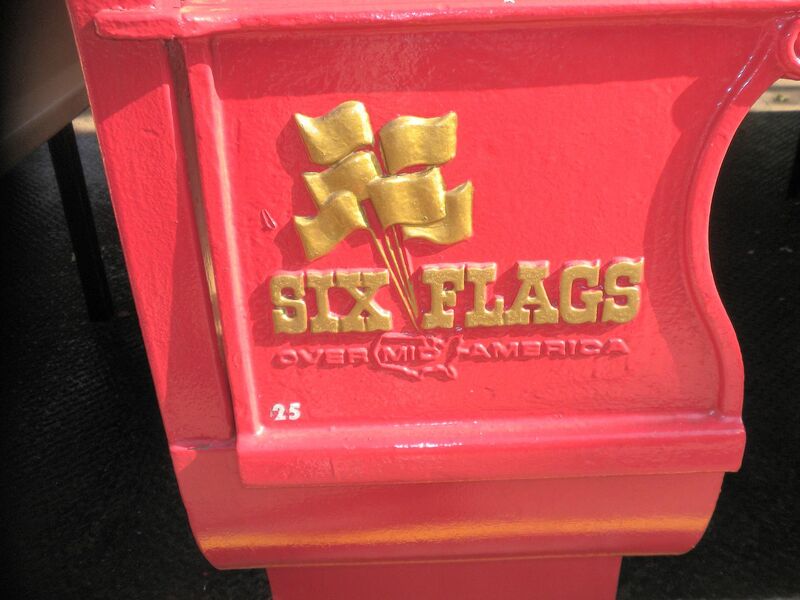 It is great to see Six Flags do something of this caliber – 3 rides, 2 during ERT, 1 with lights on. SHAZAM! : This Scrambler gives a good ride. 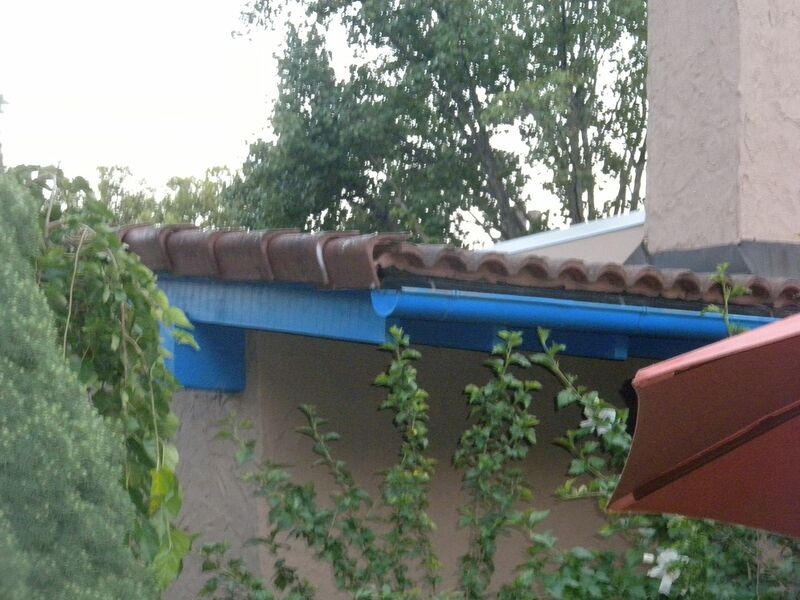 Of particular note, the building you exit through, with its terra cotta roof, is one of the few places you can still find Spanish theming in this section – 1 ride. 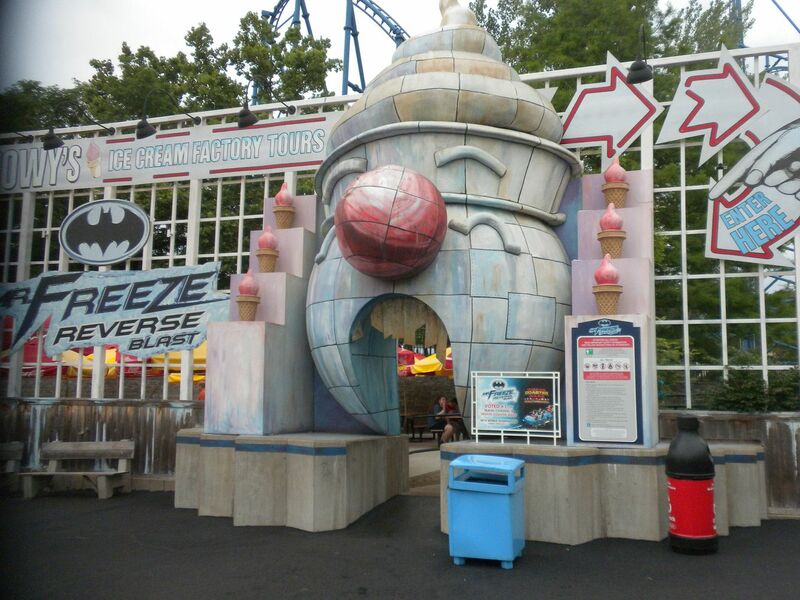 This section previously contained a kiddie carousel, but it has been removed. We had a behind the scenes tour under Mr. Freeze: Reverse Blast. The British influence over Mid America came in 1763 when France lost to Britain in the Seven Years War and the territory that would become Illinois passed to Britain. Claimed by Virginia in 1778, it was ceded to the United States in 1783 as part of the Northwest Territory. 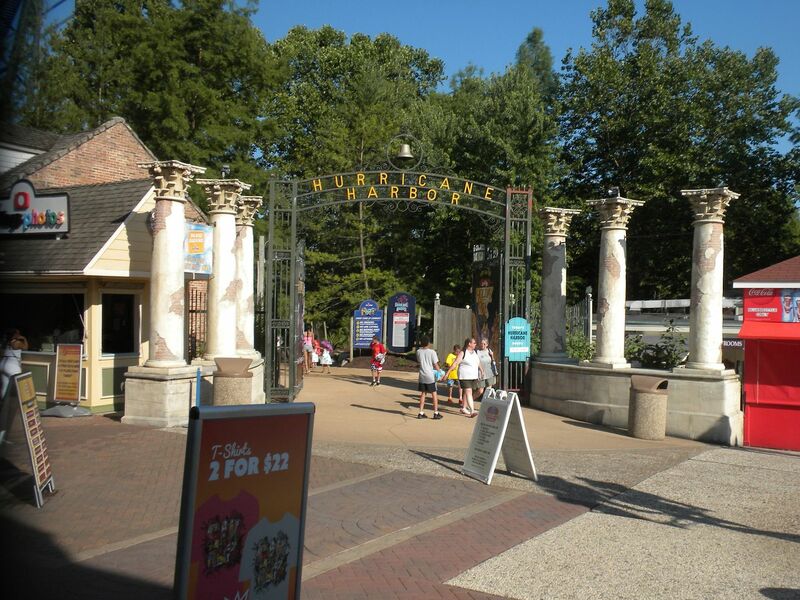 A portion of the current Gateway to the West section was previously known as England and later Great Britain, before being named Britannia as additional space was carved from the unused back corner of the park. 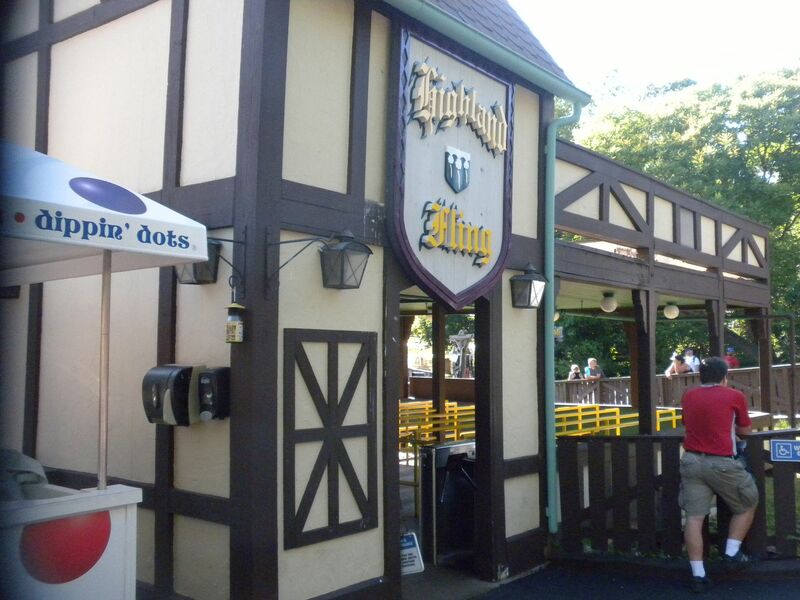 This area retains its theming well, particularly in ride names. 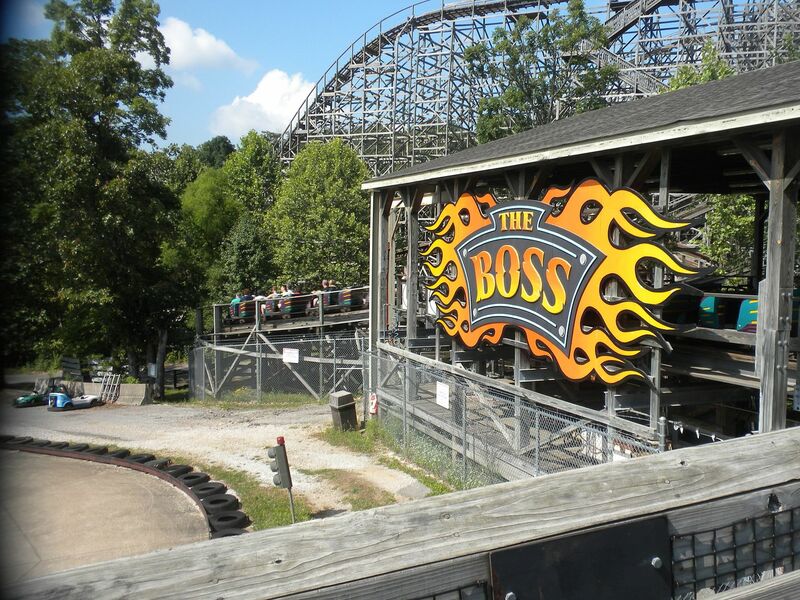 The Boss: (CCI, Wood Terrain Coaster, 2000) With a 150-foot first drop, speeds of 65 miles per hour and ending in a 570 degree helix, this coaster certainly makes a case for its name. When I first rode it in 2004 I was very impressed. 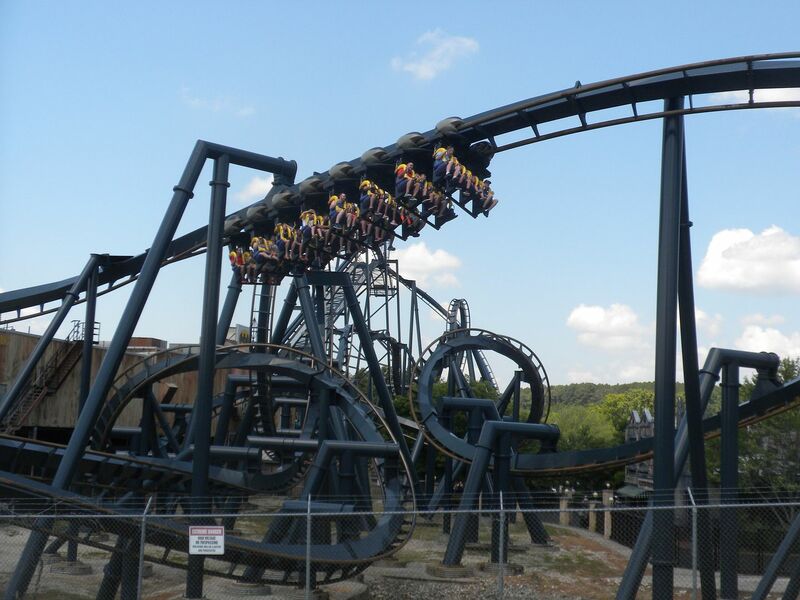 It’s relentless speed and action packed layout made for a great, intense ride. In 2007 it was a little rough, but in 2009 it was running great. This year it was somewhat rough in places, but running fairly well through much of the ride. 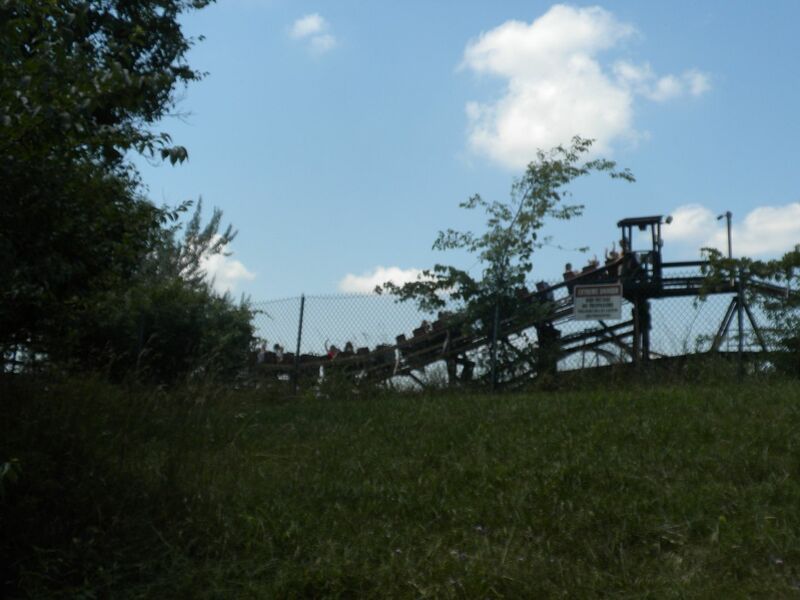 I may be crazy to have ridden as much in ERT as I did, but I had fun – 8 rides during ERT. 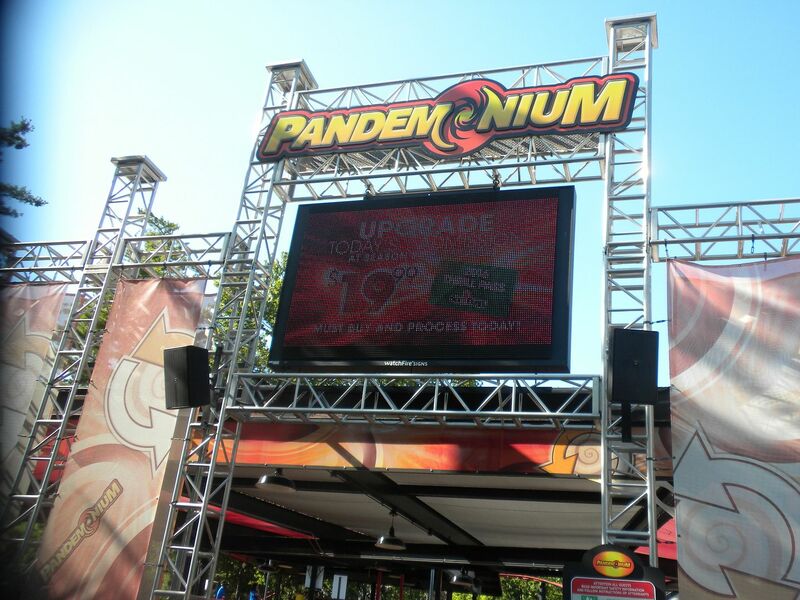 Pandemonium: (Gerstlauer, Spinning Coaster, 2007) Formerly Tony Hawk’s Big Spin, this is a fun coaster with good spinning – 2 rides, 1 during ERT. 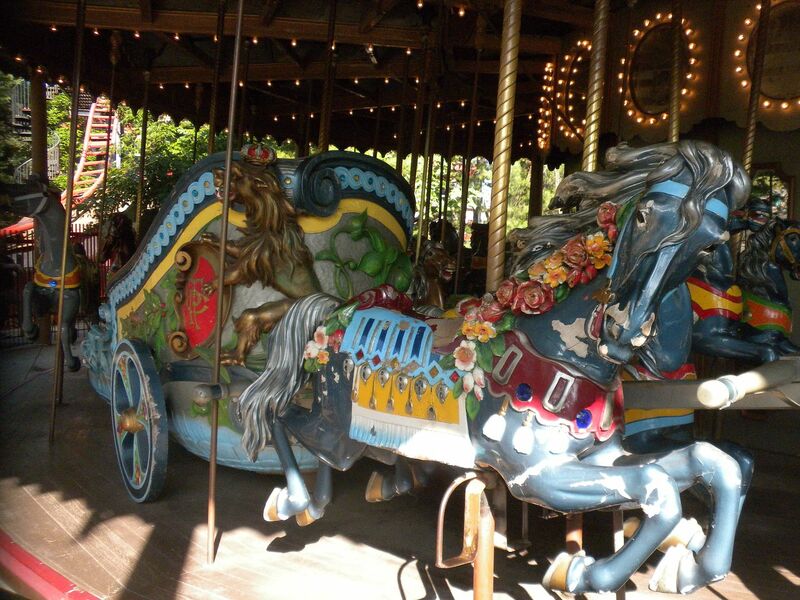 Grand Ole Carousel: (PTC #35; Classic Wood Carousel: 4 row – 58 jumping horses, 10 standing horses, 2 chariots; 1915) It runs well but the horses are in bad need of refurbishment – 1 ride. 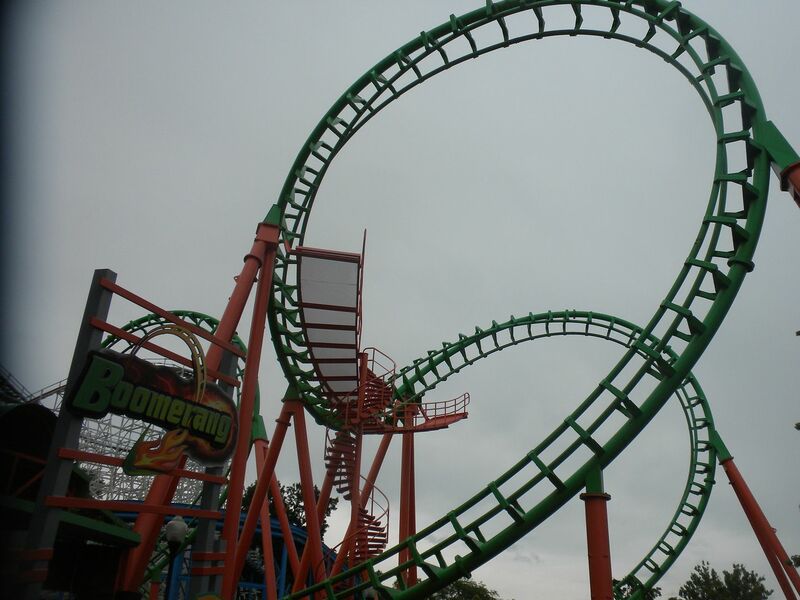 This Schwarzkopf Enterprise was good – 1 ride. 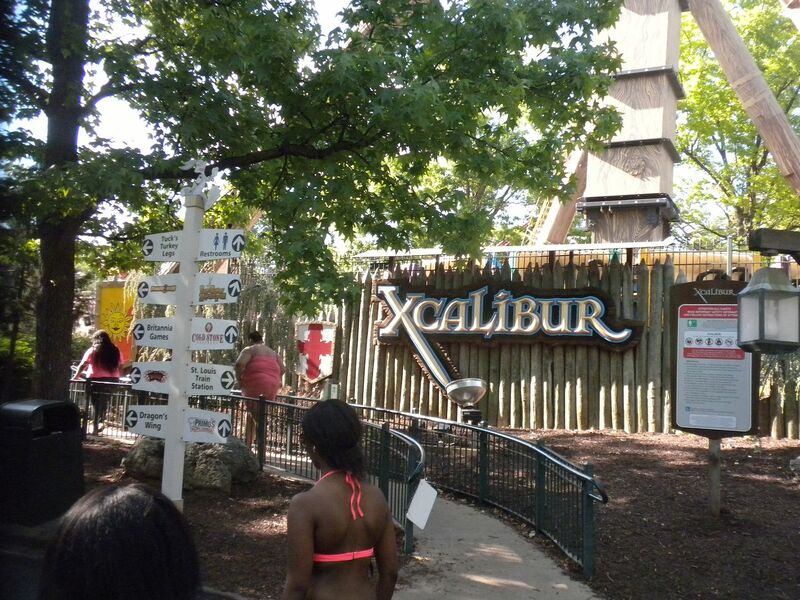 Xcalibur, an inverting pendulum ride, was down when we first went to ride it. 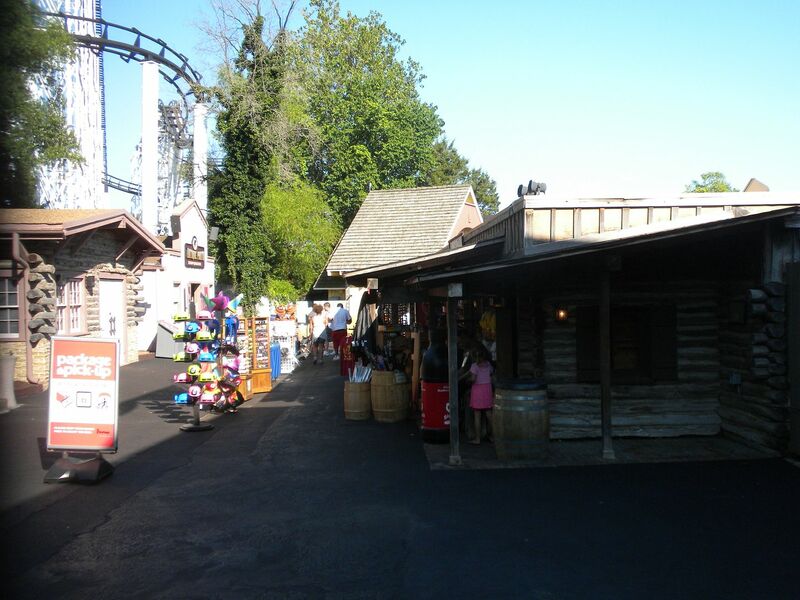 Although it reopened Monday, it was down all day Tuesday when we intended to ride, so we did not get to ride, although I have ridden it on a previous visit. 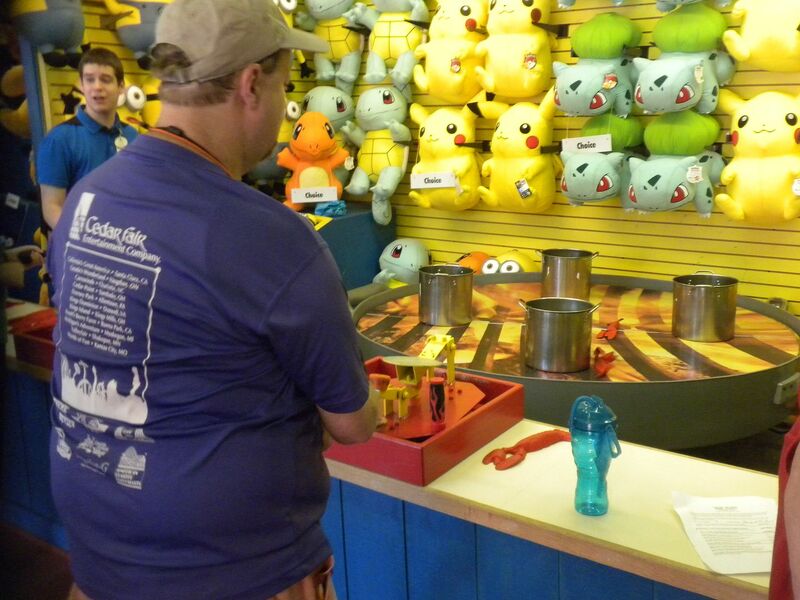 Upcharge attractions include Dragon’s Wing Skycoaster and Speed O’Drome Go-Karts. The United States of America came to rule the area that would become Illinois in 1778 when Virginia claimed it, having previously been under British rule. The area that would become Missouri came to the United States with the Louisiana Purchase 0f 1803, when France sold it after having reacquired it from Spain. 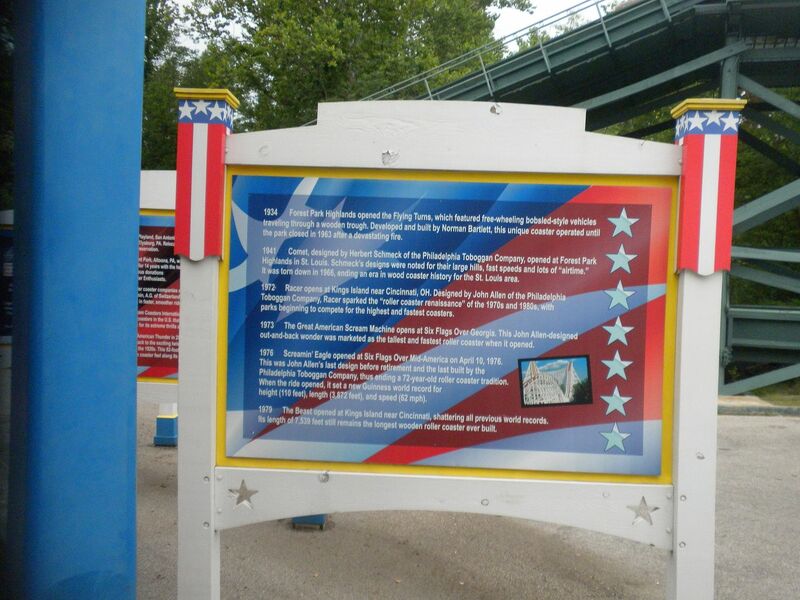 Unlike the other two original Six Flags parks, U.S. rule in Mid America was not broken by the Civil War. 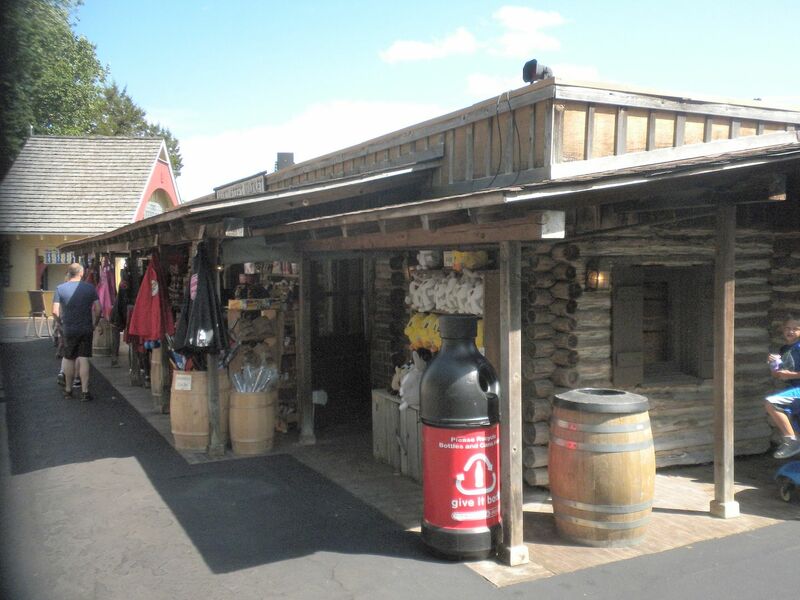 This section lost its specific U.S.A. theming when it was named U.S.A./Movietown, then Time Warner Studios, Warner Bros. Backlot and finally Studio Backlot. 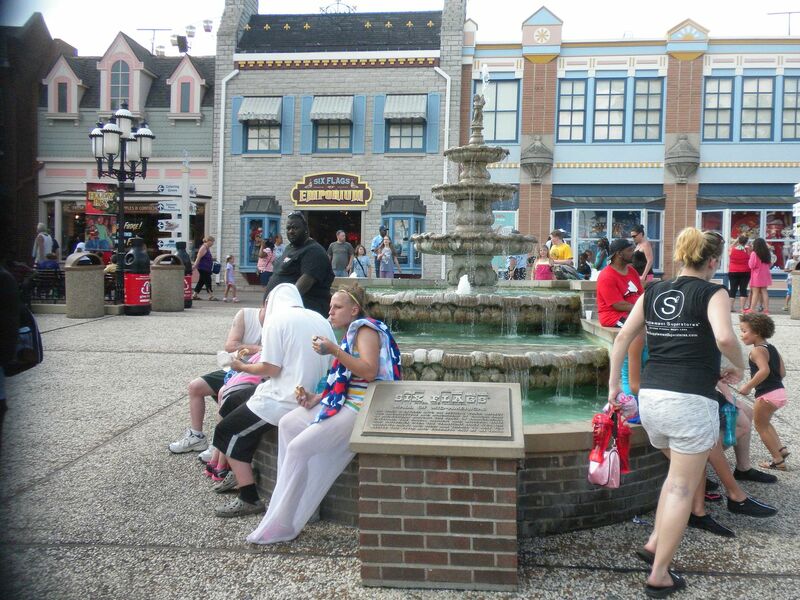 While a true U.S.A. theme would be more fitting, the theming to an American movie studio will suffice. This being a mirror reverse, it is always interesting to me since it going opposite of what I expect – 2 rides, 1 during ERT. 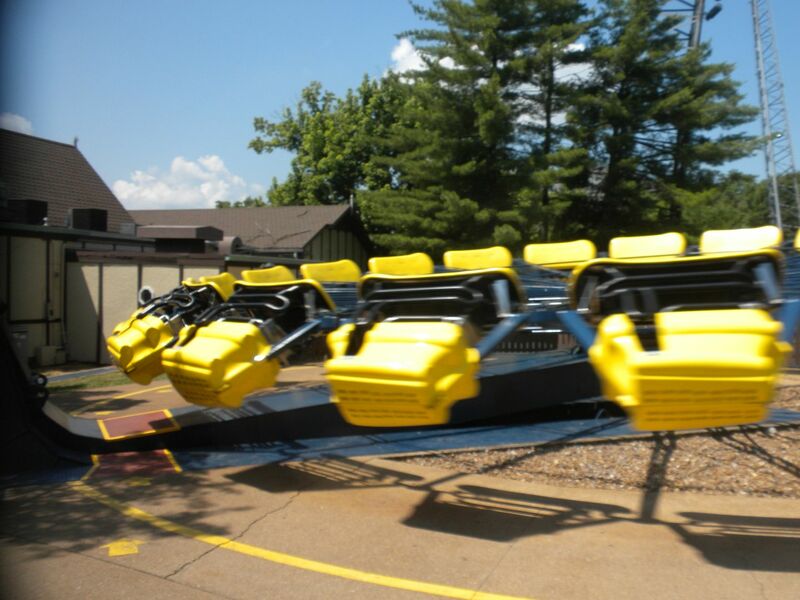 This 4 inversion coaster looks nice, but like the predecessor to Blue Hawk at SFOG, it can be quite rough. If you hold your head against the restraint, it is not too bad. 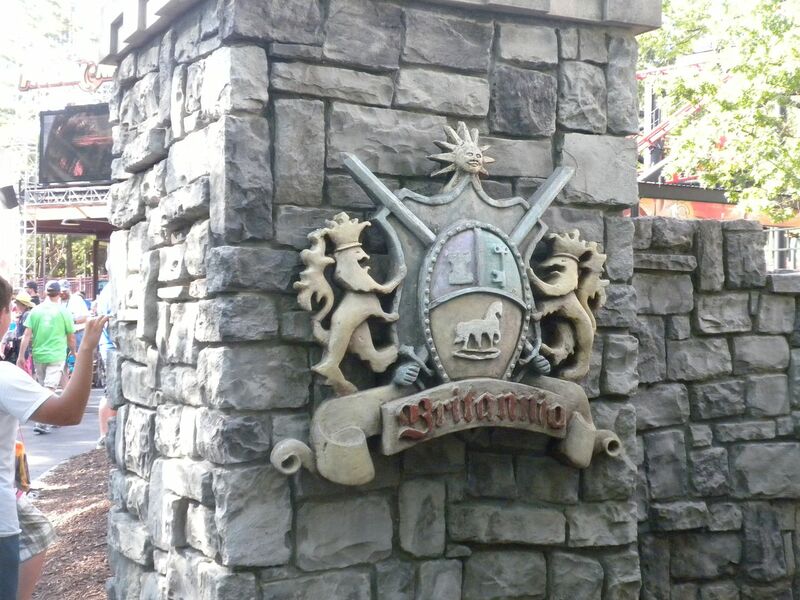 This is located where the other half of River King Mine Train used to be, which is now at Magic Springs as Big Bad John. This year they added Virtual Reality to it. Having ridden VR on 2 coasters on 3 occasions prior to this and only having one of them work, I was impressed when it worked. The VR adds to the experience on this ride, although you do have to watch out for head banging. 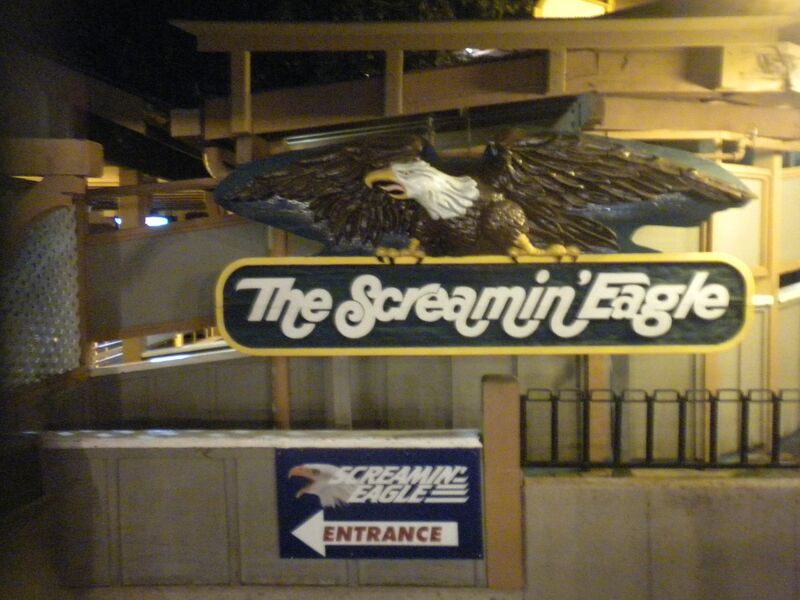 I enjoyed the experience, although it sure slows down the loading process, but it works much faster than Dare Devil Dive at SFOG – 2 rides, 1 with VR, 1 without, 1 during ERT. 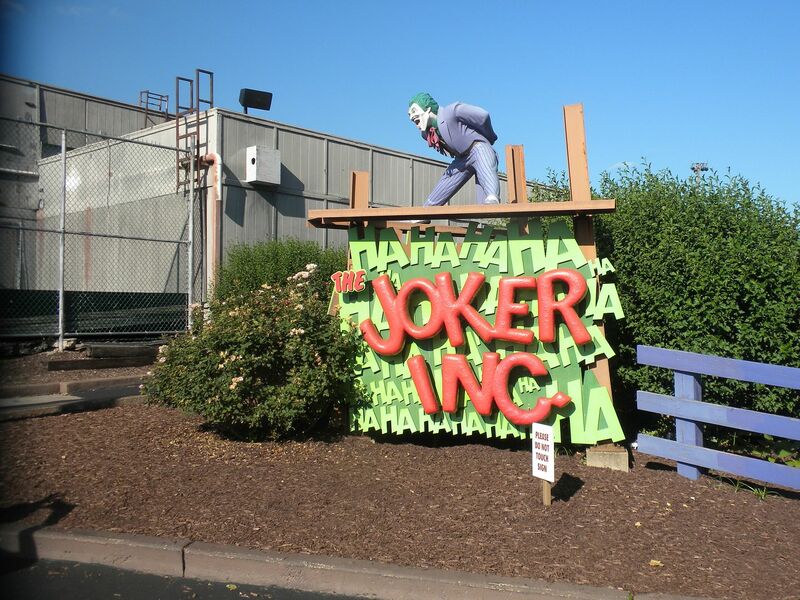 The Joker Inc.: This swinging ship was good – 1 ride. We got to use the Empire Theater for our meetings, but I did not see the show We Got The Beat, a Looney Tunes show. On the porch of this theater is the Character Dance Party show. Missouri’s nickname “Gateway to the West” was earned as it became the major departure point for western exploration, including that of Lewis and Clark. This section, the center of the park, was once the England section and part of the France section. and it gives a good ride without quite as much jerkiness as some. I like the way it exits the ending tunnel – 3 rides, 2 rides during ERT. 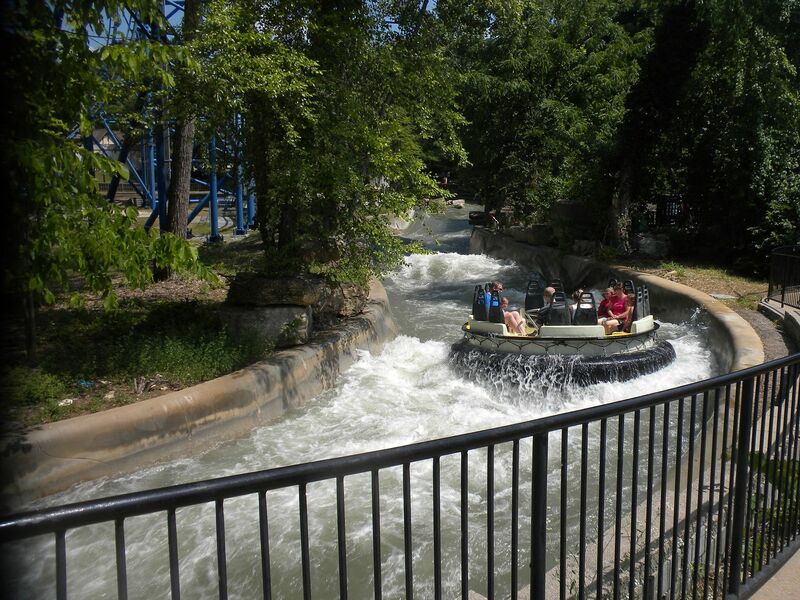 Thunder River: This rapids ride follows a long course around Mr. Freeze and gives a good ride with lots of opportunities to get wet – 1 ride. This section has Miss Kitty’s Saloon. I saw the comedy musical production Pardon Me Boys, which was pretty good – 1 show. I did not see the Country show also in this venue, Countrified. Illinois became a state in 1818 after being part of the Northwest Territory since 1783. This section is the only one to retain its original name. While it started inside the railroad tracks, it quickly expanded across them. 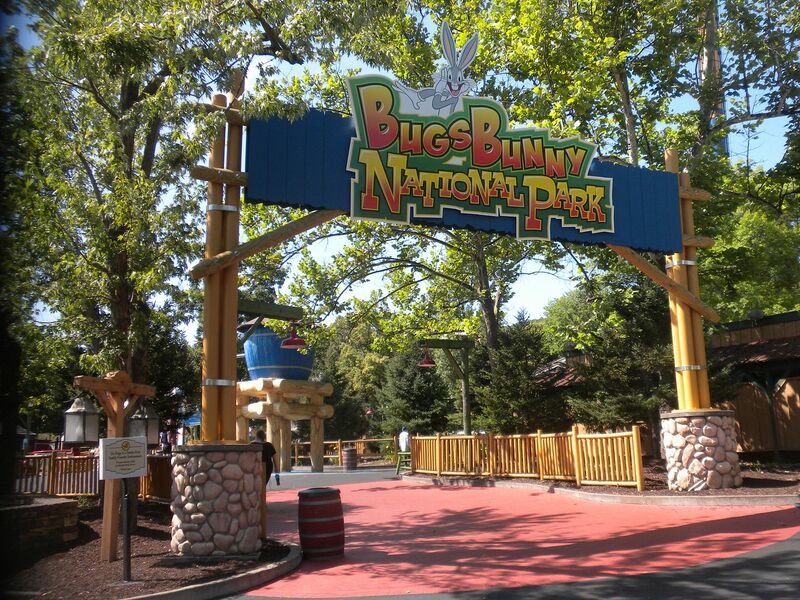 With the opening of Bugs Bunny National Park, it gave up its area inside the tracks as well as some across the tracks. 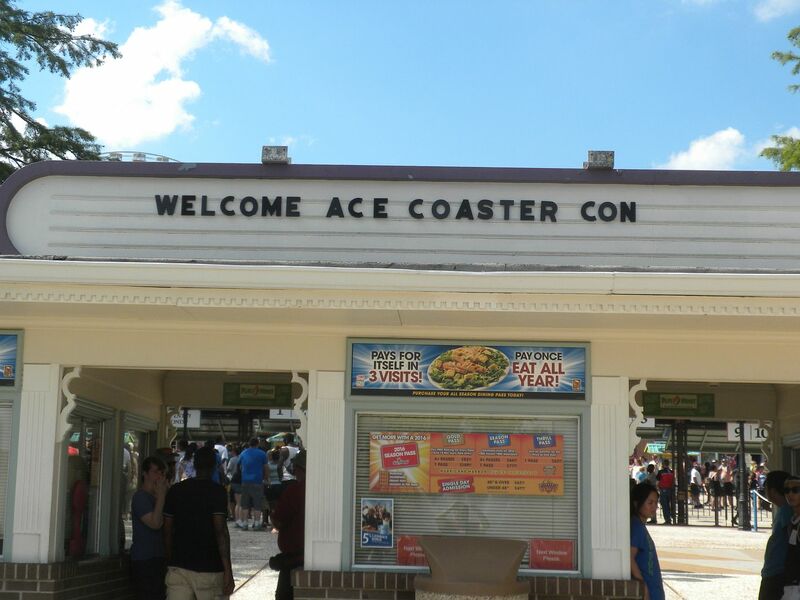 This was John Allen’s last coaster and it is an excellent one. I especially like two drops toward the end where the track seemingly drops out from under the train, one on the return dog leg, the other on the return home. 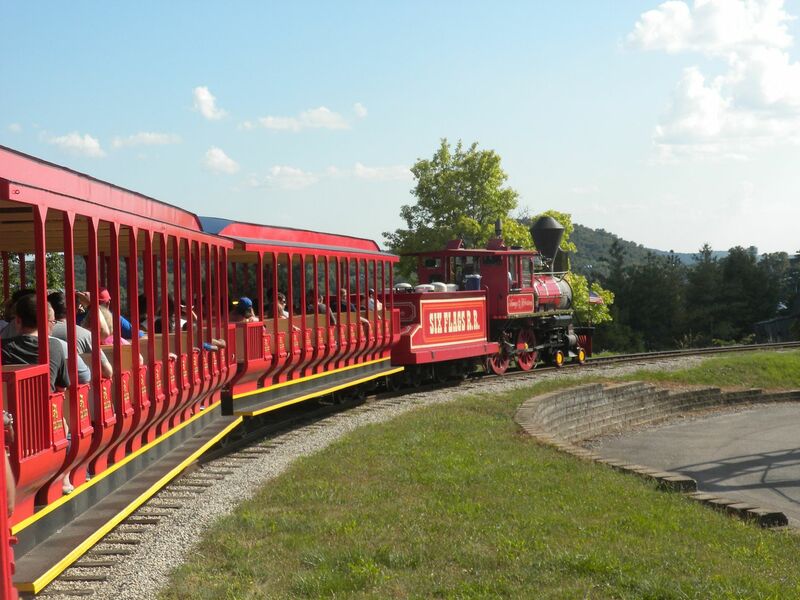 It was running great, and its beautiful hillside setting makes a wonderful backdrop for the park. in a special ceremony Tuesday morning. 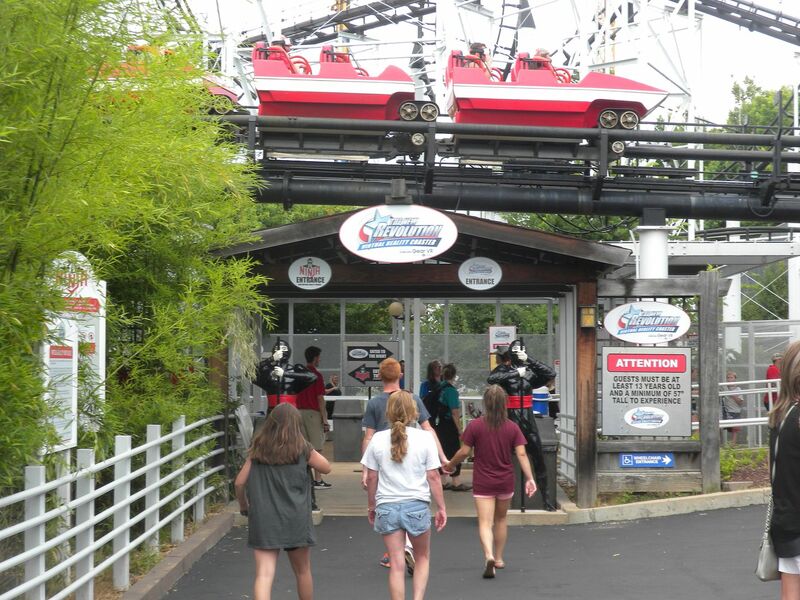 Several of us got to ride it for a news report for the St. Louis FOX affiliate – 10 rides, 6 during ERT, 2 for photo shoot. 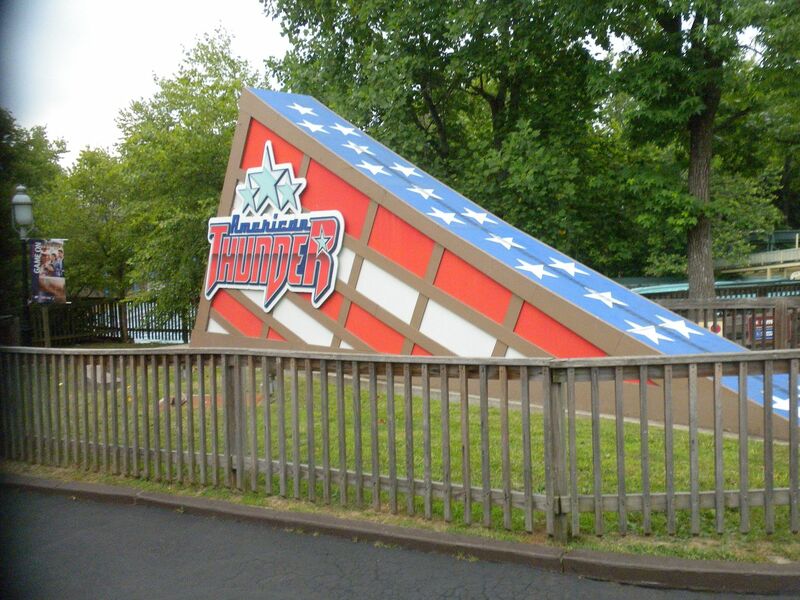 Due to an accident earlier this year, Boomerang (Vekoma, Boomerang, 1989/2013), relocated from Six Flags Over Texas as Flashback, was not operating during our visit. 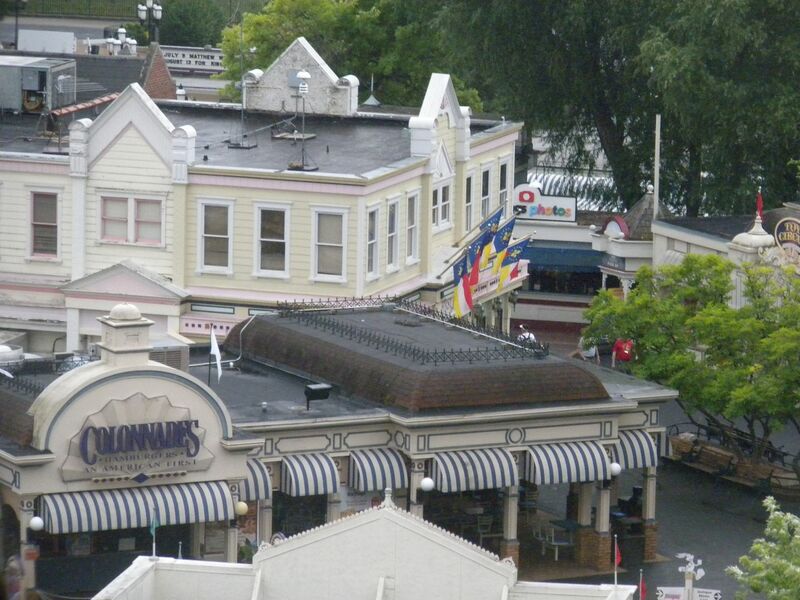 It replaced the Water Street Cab Company bumper cars. 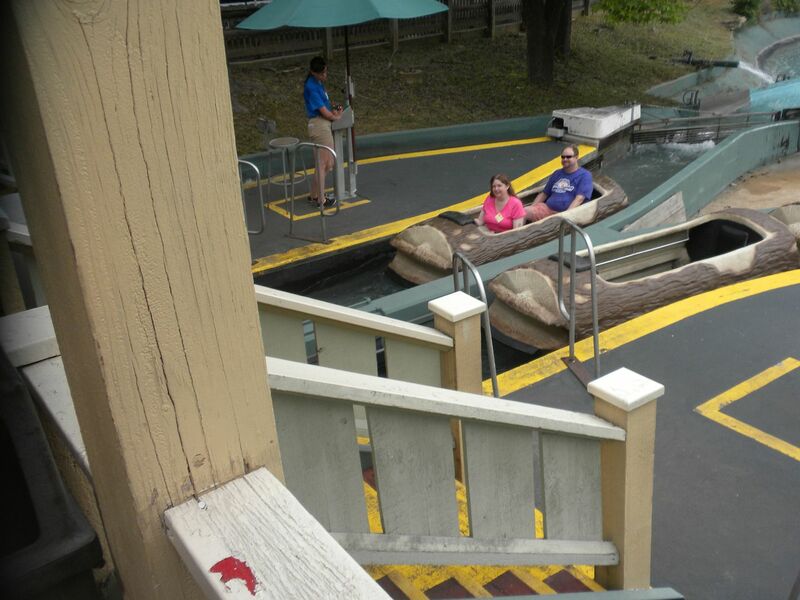 Tidal Wave: This standard Shoot-the-Chutes ride got me pretty wet – 1 ride. 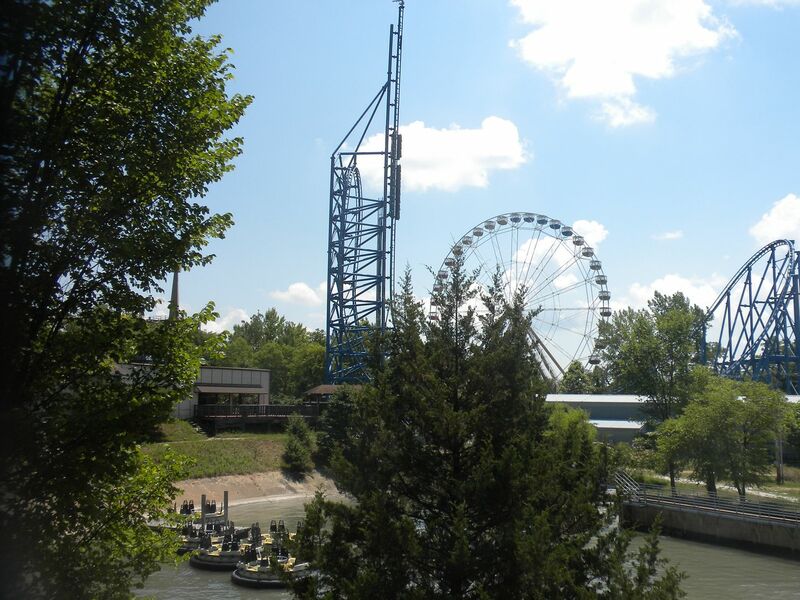 SkyScreamer: This 230 foot tower swing gives great views. 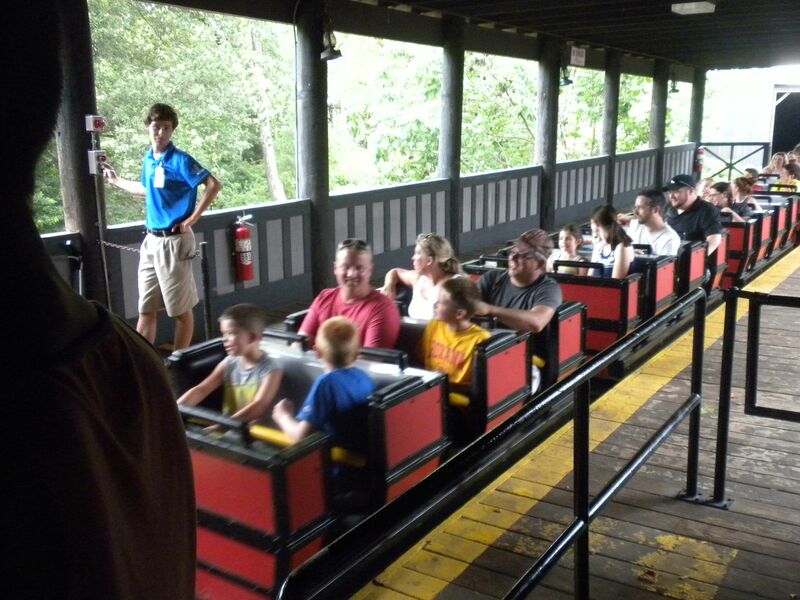 It replaced Riverview Racer a Yo-Yo – 1 ride during ERT. 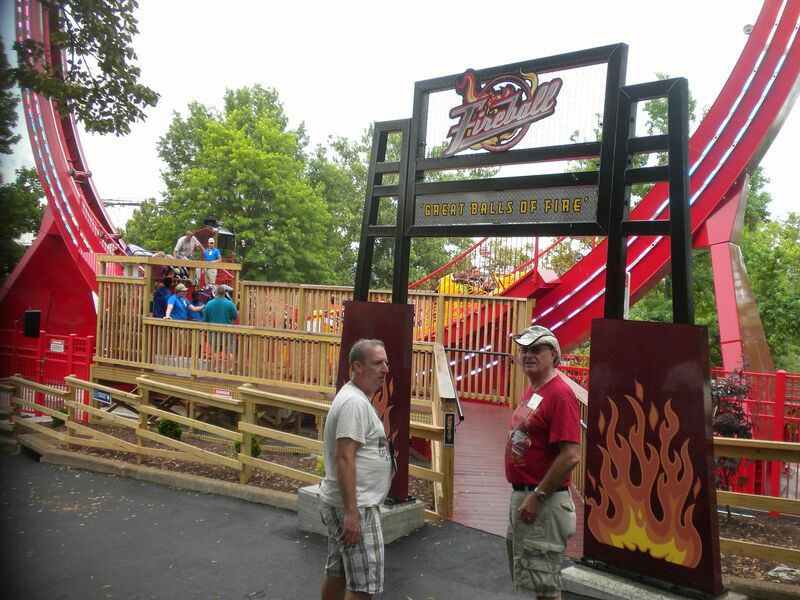 Fireball: New for 2016, this Larson Loop is fun. 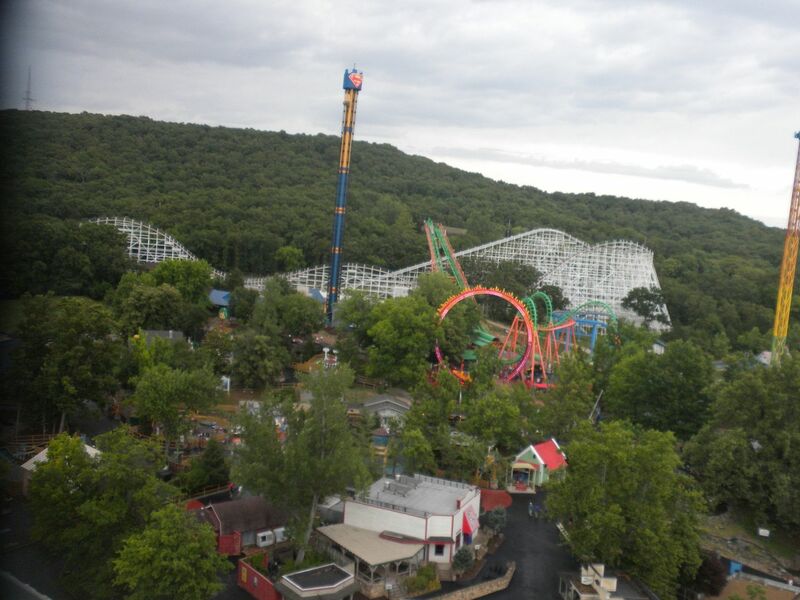 It replaced Rush Street Flyer, a Rainbow ride – 1 ride. 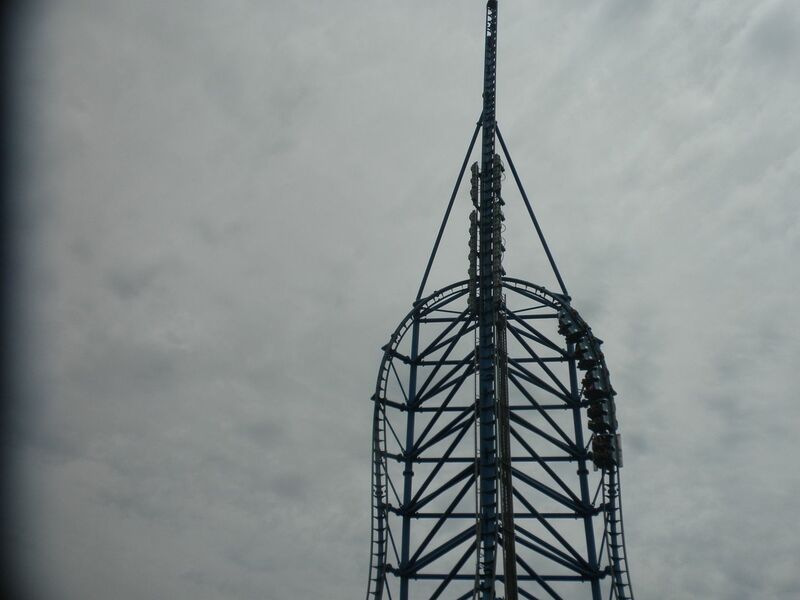 Superman Tower of Power, a drop tower from SFAW, was not operating during our visit. Since my last visit, they have removed Riverview Racer Yo-Yo, Rush Street Flyer Rainbow themed to a Chicago ‘L’ Train and Water Street Cab Company bumper cars, which unfortunately took 3 Chicago references from the park. Taking over the most of the original area of the Illinois section, this children’s area is nicely done. 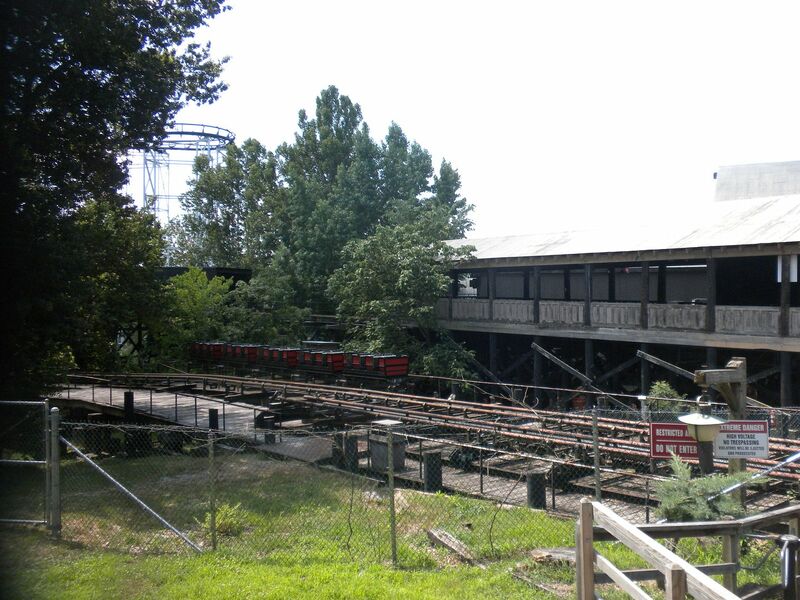 Tommy G. Robertson Railroad: Formerly the Old Chicago Train Station, it is now the Bugs Bunny National Park Train Station – 2 rides, 1 from this station, 1 ride through it. This section also contains 9 kiddie rides: Bugs Bunny Fort Fun; Bugs Bunny Ranger Pilots; Daffy Duck Stars on Parade; Elmer Fudd Weather Balloons; Foghorn Leghorn National Park Railway; Marvin the Martian Camp Invasion; Taz’s Twisters; Tweety’s Twee House; and Yosemite Sam Tugboat Tailspin, a Rockin’ Tug. This included-with-admission water park is nice. We had dinner Monday night here as well as ERT. Hurricane Bay: This is a good wave pool – 1 swim. 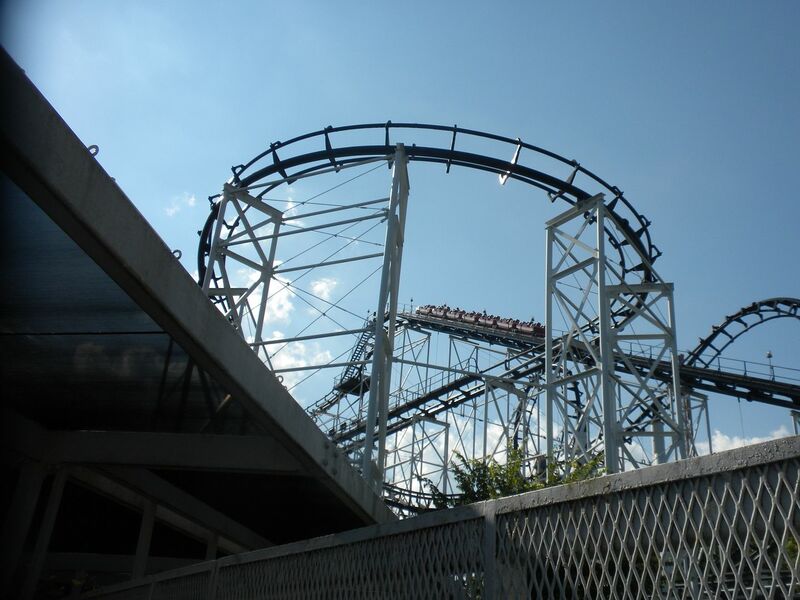 Speed Slides: This complex has 2 enclosed and 1 open slide, all of which were good, especially the straight open slide – 3 rides, 1 on each slide. 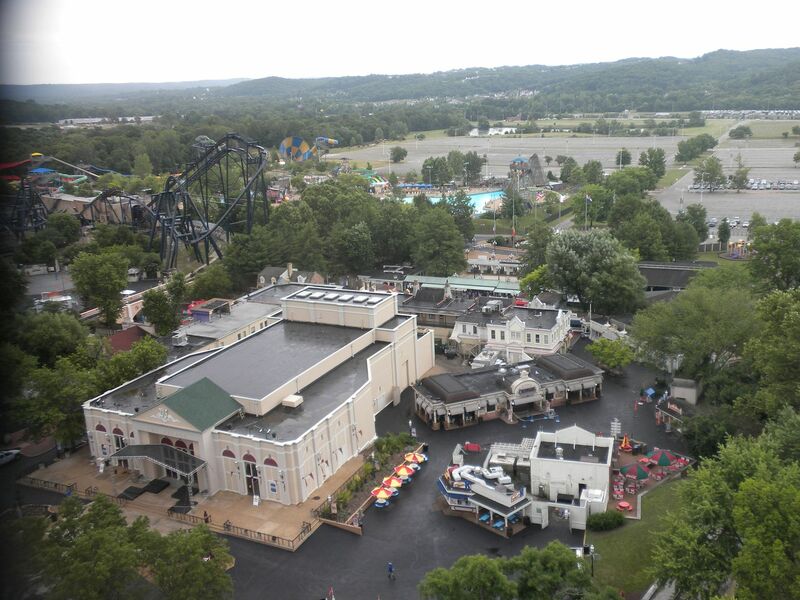 Also here are Big Kahuna, family raft ride; Bonzai Pipeline, drop slide, also on ERT; Gulley Washer Creek; lazy river; Tornado, funnel slide; Tube Slides, enclosed and open slides; Wahoo Racer, mat racing slides; Hook’s Lagoon – Tree House Slides, children’s slides; Hook’s Lagoon, children’s play structure; and Pirate Ship Slides, children’s slides. 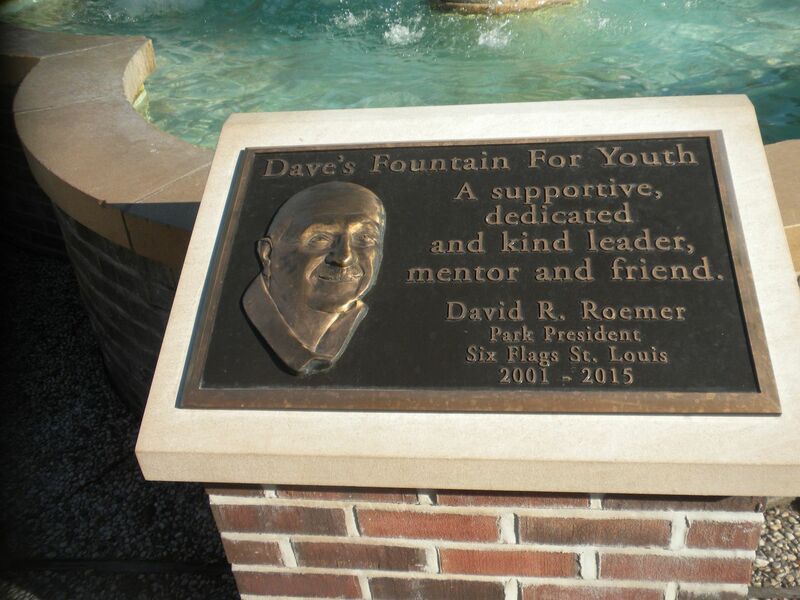 Six Flags St. Louis, Six Flags Over Mid America, is a beautifully landscaped park that has many similarities with SFOT and SFOG. 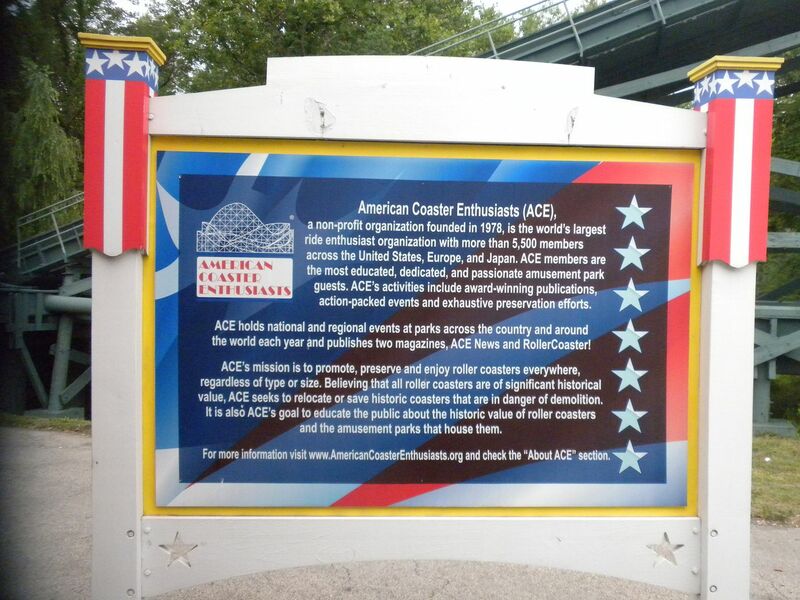 They have not been as loyal to their theming as those parks as two of the sections are no longer themed to their flags. 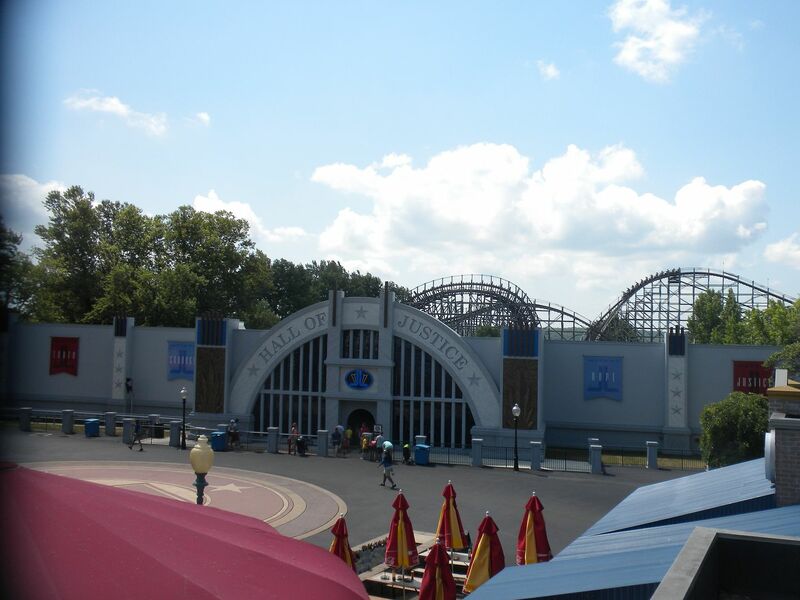 Still, this is a nice park and it is good to see that corporate has invested in it recently with the addition of Justice League Battle for Metropolis. 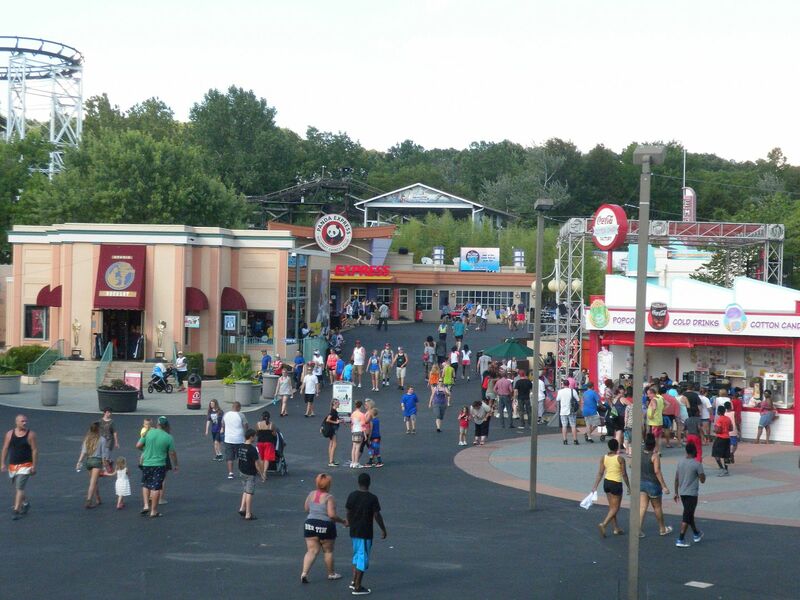 This park, unlike the other two original parks, does not have a partnership ownership structure to fight for it, so it has often not fared as well as those parks. It is nice to see it is getting some attention. The park treated us to some amazing ERT sessions, some great meals and snacks and a tremendous amount of hospitality. 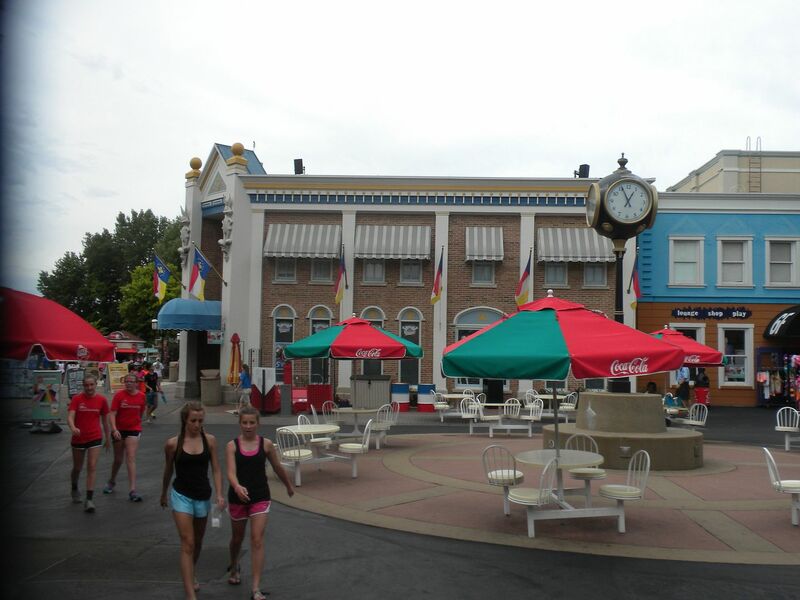 and getting a feel for the park’s original and current theming. 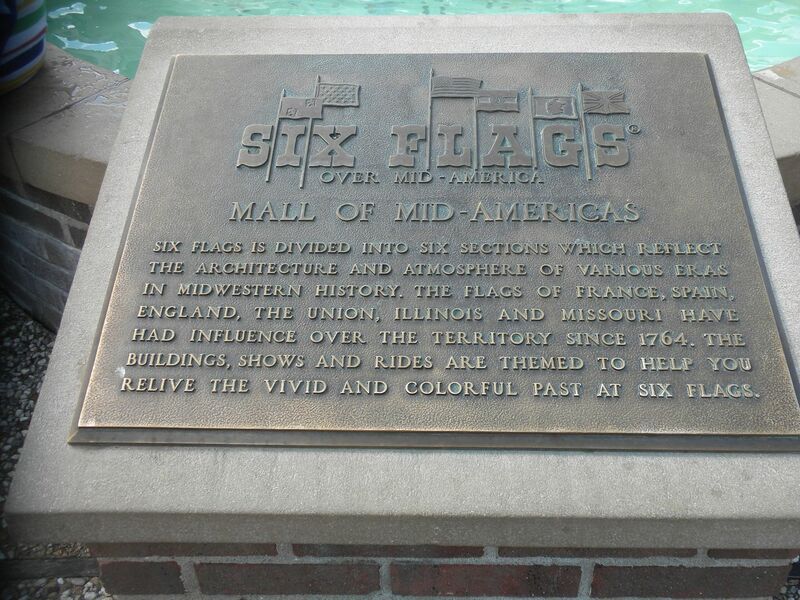 I was pleased that they have a plague at the front of the park explaining the six flags and I was very happing when I found a vintage Six Flags Over Mid America t-shirt with the six flags prominently displayed. It was hot during our visit, but I had a wonderful time. 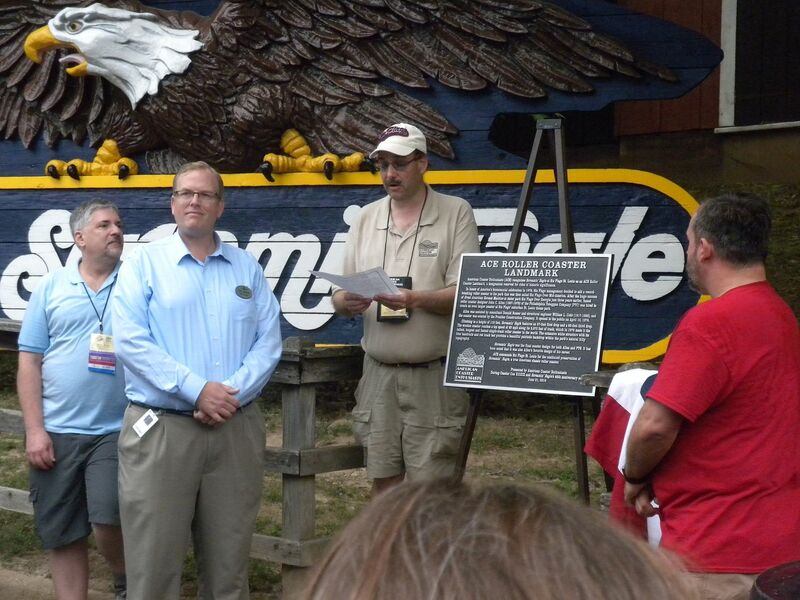 While I had time to enjoy the entire park, I look forward to return visits to enjoy this park even more. Tuesday evening we held our Banquet with Tom Rebbie, owner of Philadelphia Toboggan Coasters, Inc. as our keynote speaker. 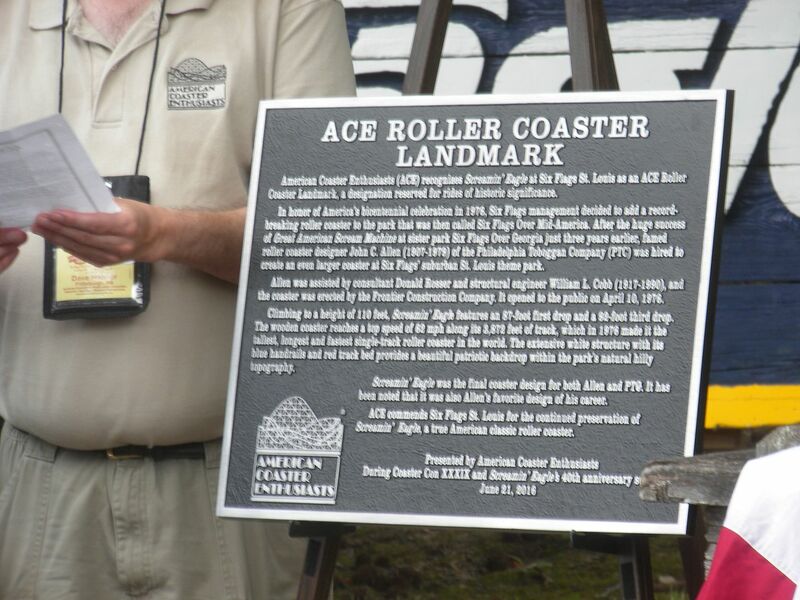 He shared interesting information about former PTC President Sam High as well as the few times he met legendary PTC coaster designer John Allen. Janine Rebbie Matchertz presented the PTC Spirit of ACE award to Maggie Altman, a very well deserved honor. 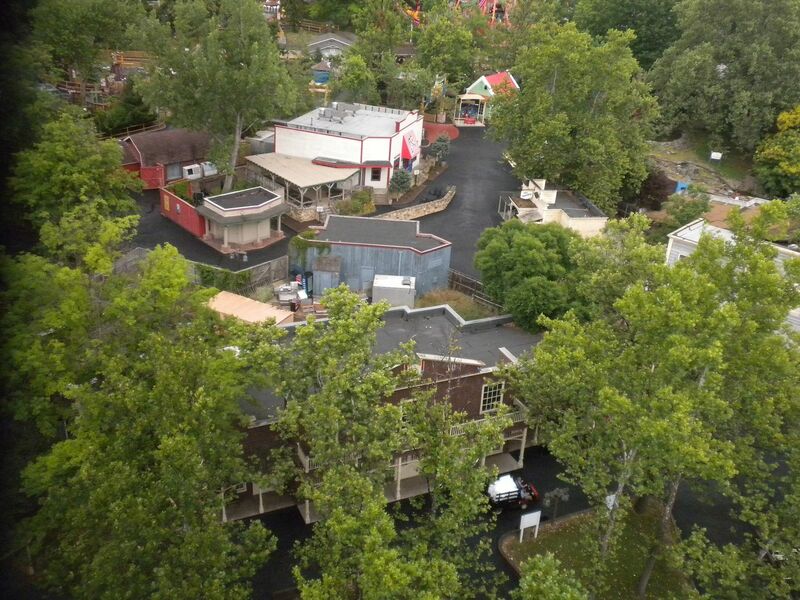 On Wednesday morning we headed for Santa Claus, IN for the second part of Con at Holiday World & Splashing Safari.